I have sung Heather Nichols' praises on multiple occasions. Both as a stamp designer and overall paper artist. The work she has created this month is nothing but fabulous and I am thrilled to have the opportunity to share both of her latest sets with you today! The first set is entitled Falling Leaves. Falling Leaves is a fun and whimsical tree building set. 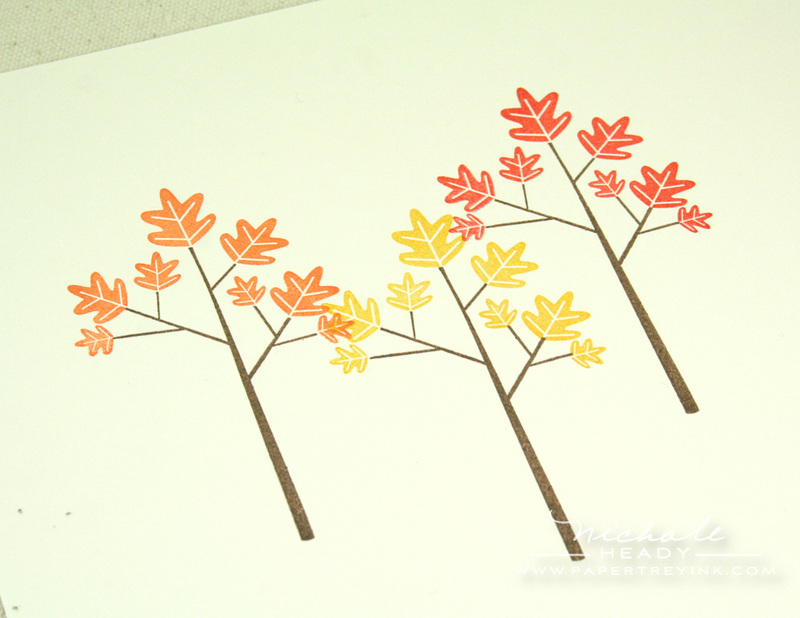 You are going to have so much fun using the elements of this set to build trees for fall – and more! The set includes a tree trunk/branch and various toppers and additions you can add to the top as well as some wonderful fall-themed sentiments. Falling Leaves will be available for purchase on August 15th. The second set is the next addition to her Fillable Frames Collection. It is simple in design which allows you to use it in multiple style applications with ease. This will be a wonderful basic to add to your collection! Fillable Frames #7 stamp set will be available for purchase on August 15th. It contains a total of 7 stamps (1 frame and 6 sentiments)There will be a coordinating die available for $5. Now that I have provided you with all the basics, let's get onto the fun stuff! My first project today is another scrapbook layout. This is one of my favorite photos of David holding Owen after he fell asleep in his arms on our porch swing. I knew that both of Heather's new sets would pair well in capturing this special moment in our lives. I started by stamping the trunks of the trees across the bottom of my Kraft cardstock page using Versamark ink. I then followed through with the leaf topper image for each trunk using the same ink. I decided to create my own custom frame for the title by cutting an opening using the new Fillable Frames #7 die in Ocean Tides cardstock. I was then able to apply a pattern of stamped Polka Dots using Polka Dot Basics II and Versamark ink once again. I stamped the frame from Fillable Frames #7 on a separate piece of Stamper's Select White cardstock in Enchanted Evening ink. Followed by one of the sentiments from Falling Leaves in True Black. I layered the stamped image under the opening of the Ocean Tides frame, adhering the frame with thin foam dimensionals. Since this die is designed to coordinate with the stamp image, they line up perfectly. 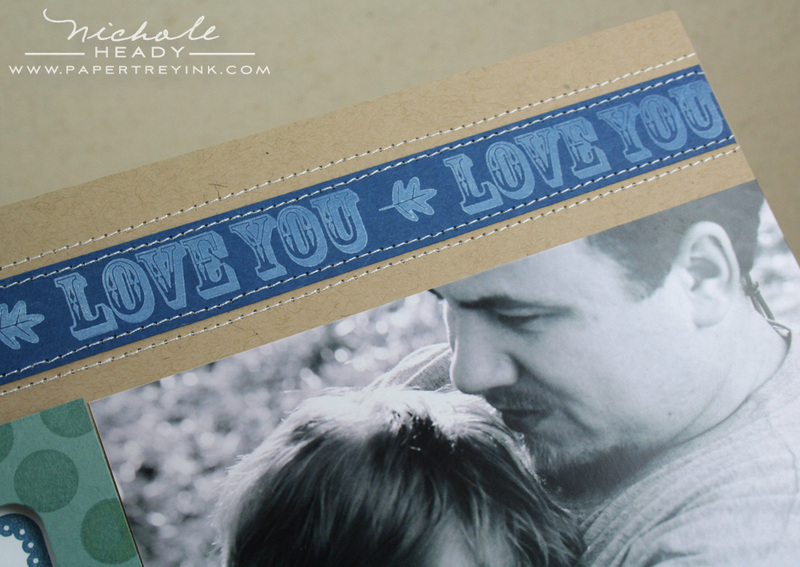 For the border at the top of the page, I cut a strip of Enchanted Evening cardstock and stamped "Love You" from Say It With Style across the full-width using Fresh Snow ink. I then added one of the small leaves from Falling Leaves in between each phrase. After adhering it to my page, I stitched across the top & bottom of the strip as well as above and below it with my sewing machine. I really like the way the double stitching ended up looking. I layered school-style journaling lines on top of the trees at the bottom using Fresh Snow ink. (The line image is from Mini Scrapbook Series: Library Ledger). This provided me with the perfect place to add my journaling, which also happens to help ground the right-side of the layout as well. Did you notice the circular tag image attached to the Ocean Tides frame? This is an image from 2009 Autumn Tags. Does it look familiar? 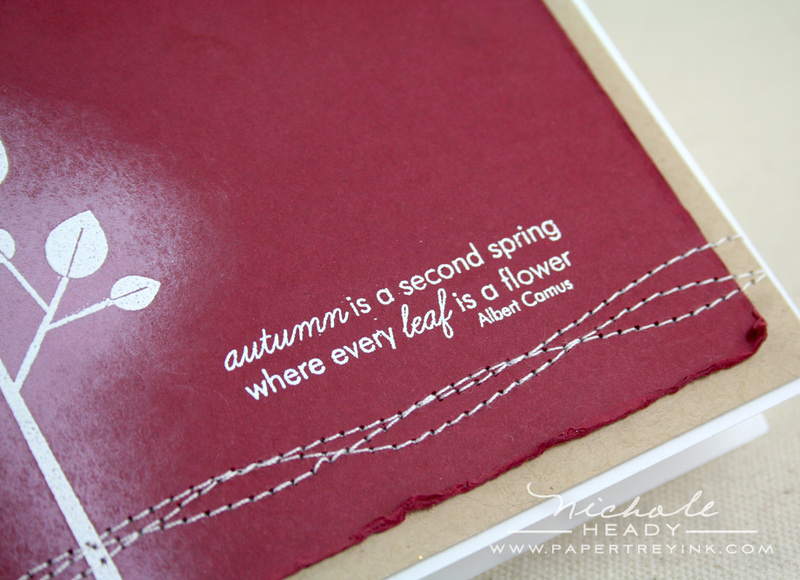 Heather designed this last year as part of the tag set and it served as her inspiration for the Falling Leaves stamp set. In turn, the two coordinate together, which always nice to know! I stamped the Fillable Frames #7 frame with Spring Moss ink onto Stamper's Select White cardstock. I then layered the tree trunk from Falling Leaves over it using Dark Chocolate ink. The leaf topper was added with SImply Chartreuse ink. Notice that this topper is different from the one I used in my last project. Having variety with your stamp images like this is always fun! I next added the small apple image from Falling Leaves, three times in Pure Poppy ink. When you try to recreate this, be sure to slightly angle the apples in random directions so they look like they are hanging from the tree naturally. After the apples were added, I used my 2-way glue pen to add some Prisma Glitter to each one for a little added sparkle. I used the "Thankful for you" sentiment from 2009 Autumn Tags set stamped in True Black to fill the remainder of the frame. Pure Poppy Baker's Twine was wound around the Kraft card base a few times and finished with a bow to help balance the bottom half of the project. I love little one-layer cards like this and I think this one in particular is definitely easy enough to mass produce! I knew I had to use Falling Leaves in conjunction with an autumnal color scheme and here are the results. I started by stamping the tree trunks at different levels using Dark Chocolate ink. I then added the leaf topper in three different colors, Orange Zest, Summer Sunrise & Terracotta Tile. I trimmed the "forest" down to a small block and stamped Text Style II over the trees using Chai Tea Dye Duo ink. I then swiped both Tea Dye Duo pads around the edges for a bit of rustic flair. For the border at the bottom, I cut a strip of Terracotta Tile cardstock and adhered it in place. I then punched out 1/2" squares from various cardstocks to create a monochromatic. variegated look. (From left to right) Lemon Tart, Harvest Gold, Summer Sunrise & Orange Zest cardstocks were used. After stamping the sentiment (also from Falling Leaves) I stitched down the center of the squares with my sewing machine. I think the end result is a card that embodies all the loveliness that autumn brings. The quick little card shows how you can use some of the small companion images from Falling Leaves as focal points without always having to use the trunk as your basis. 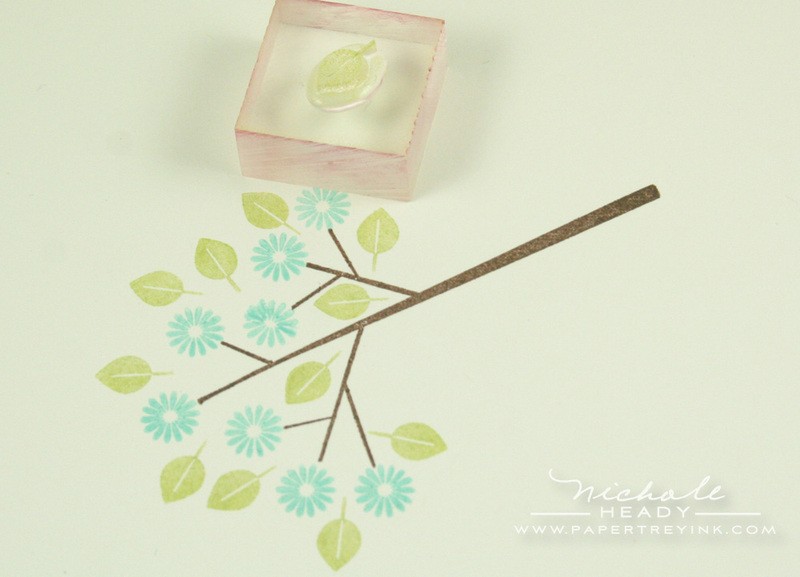 To create this focal point, I started by stamping the smallest leaf in Ripe Avocado ink. I then layered the larger leaf of the same design over it at a slight angle and stamped it with Spring Moss ink. The bitty acorn followed in Dark Chocolate ink. This little "thank you" sentiment from Fillable Frames #7 nestled in perfectly next to the acorn image. As a last step, I stamped the frame from Fillable Frames #7 around the acorn & sentiment using Ripe Avocado ink. After adhering my focal point in place and wrapping the Spring Moss card base with a bit of Rustic Jute Button Twine, I was left with a quick little card that will be useful for a variety of recipients. I think it would look wonderful in a variety of different colors too! I decided to pull out my embossing powder for this next project. I stamped both the tree trunk & leaf topper with Versamark ink and sprinkled on some Filigree White Embossing Powder, then heat to set. The images in this set work BEAUTIFULLY with heat embossing techniques! I then sponged some Fresh Snow ink over the top of the image in small circles, really rubbing it into the cardstock so that the outer edges of the inked area were very soft and feathered. The sentiment was also heat embossed with white powder and stands out prominently against the Scarlet Jewel cardstock background. I did some random stitching at the bottom to provide a border that would ground all of the elements. This last little card is super simple. The colors & styling just make me smile every time I look at it. I stamped the tree branch first in Dark Chocolate ink. I then added the flower (from Beautiful Blooms II) using Aqua Mist ink. 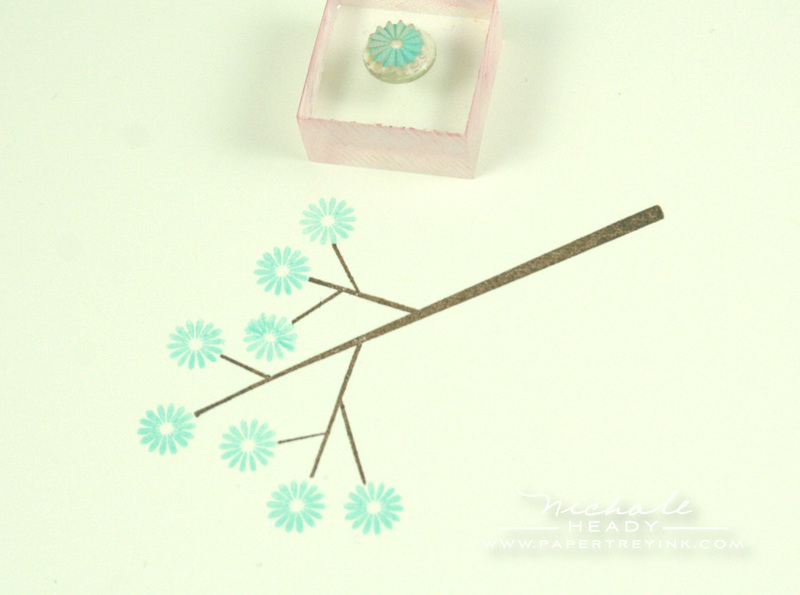 The placement was super easy because I just stamped the flower at the end of each portion of the branch. I then filled in the open spaces with leaves from Falling Leaves using Spring Moss ink. I dabbed a small dot of 2-way glue in the center of each flower and sprinkled on Prisma Glitter to give the project a little sparkle. The sentiment "be happy" is from Fillable Frames #6. It is stamped in Aqua Mist ink. The Aqua Mist card base was debossed with the Woodgrain Impression Plate. I really like how this particular texture paired with the branch image. I hope perhaps you have gained some inspiration with today's projects & post. What do you think of Heather's latest sets? What are your first impressions? Do you own other sets from the Fillable Frames collection? We would love to hear your thoughts! You could have a chance at winning an amazing prize package just for sharing your comment with us today! This prize package has over a $70 value, so be sure to leave your comment for a chance to win! This contest will close at 7am EST, Friday, August 13th. Only one comment per person please. One randomly selected winner will be announced by noon EST on or August Release Winners page. Good luck to everyone! Be sure to stop by Heather Nichols' blog today to see what she has cooked up with both of these new stamp sets! FINISHED SIZE: 4.25" x 4"
FINISHED SIZE: 4.25" x 4.75"
Totally love this new set! Fall is my favorite time of year and I can already tell this one is going to be a must have! I love the falling leaves set! I can’t wait for the 15th! Love the falling leaves set. I can’t wait to see the rest of it. This is a must have. Very cute! I like the different leaf options included in the set but also the ability to use images from other sets, too! Great projects! We are having a new baby this fall and the “falling for you” sentiment and the tree building possiblities are must-haves for future scrapbook pages! So worth the wait! Your cards are beautiful and your page is just gorgeous-I love the colors!! As usual. I’m in love with the fillable frames set–I’m actually quite addicted to them! The set is such a pleasure to use-quick and easy. 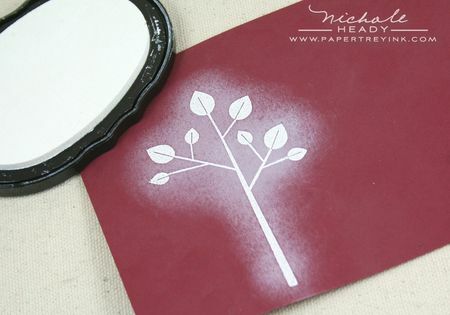 This looks like a fun tree stamp to play with! Absolutely LOVE this set. I love all of Papertrey’s leaf and tree themed sets, and this one is no exception. I really like how you’ve shown how versatile this set is. The card using Beautiful Blooms II is very Spring-y, while the others are more Fall. 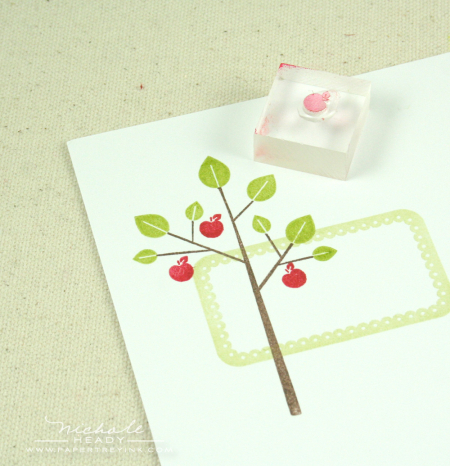 love the add ons to the tree.Cute and simple stamp set…. I LoVe the tree/branch building set! My first thought was to use it with Wise Owls! Nicole, your samples are terrific (as always). Gorgeous projects, I love all the inpiration, the mixing of sets, everything, I am really looking forward to this release!! This is such a cute set. I love how you can use it for spring or fall. I am so loving Heather’s Fillable Frames series. Looks like #7 is another winner headed to my house! The images for the falling leaves set look very versatile. It’s so enjoyable when it’s shown ideas on how to mix up the stamp sets. I think this is my FAVORITE set of this release! The whimsical-yet-clean style of this set just speaks to me. This set is so stinkin’ CUTE!! Love the designs and the price is great!! Wow! These were more than worth the wait! I know that I will own Falling Leaves. This set is so versatile! So many color combos, especially mixed with all the different Fillable Frames and sentiments…love them all! Thanks for the inspiration. I like trees and as i see on your great cards the stamps can be use for every occasion. Very great Set ! It was *so* worth the wait to see this post go up Nichole – your projects are breathtaking! I especially love the card with the punched squares! Stunning work as always! Can’t wait for the 15th! Totally loving this set SO MUCH! I love the building a tree stamps and the fillable frames are so cool. Oh Wow…these sets are great. I love the fillable frames! Totally love Heather’s new set. Love how it can be used for multiple seasons. I have a serious weakness for all things trees and leaves. This set is a must have for me! And, again I have to say, I love that you are showing the sets used for scrapbooking. Bravo!! Another incredible stamp set & love the cards! As always, another hit all the way downtown. I especially love the Be Happy card. both these sets will be in my cart come release night. 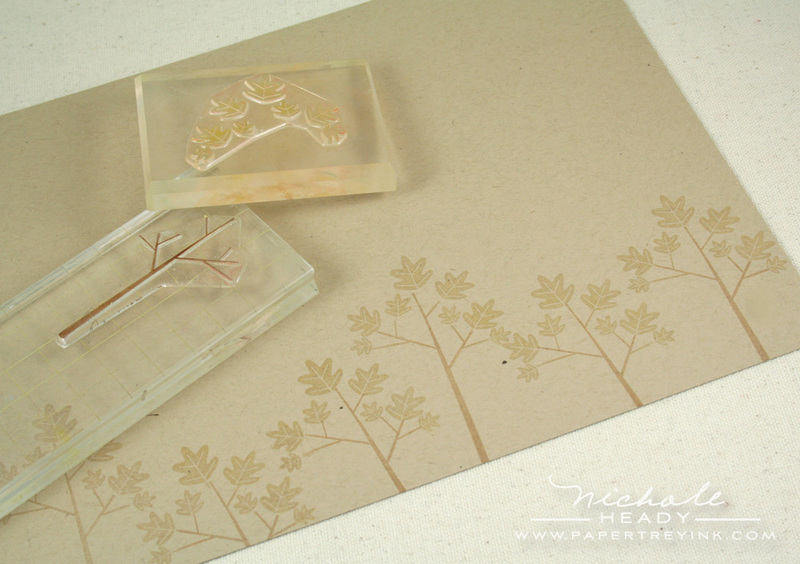 Although I have other tree stamp sets from other companies, Falling Leaves will still be going in my cart on the 15th. Love all the versatility of this set! Also Fillable Frames are always a must have – for the price and the matching die, I can’t pass them up! Awesome projects and inspiration – Thanks! I love these fillable frames sets! Just can’t get enough! I don’t have a tree set yet and this one is just gorgeous! This set is so cute! It’s so versatile, you can use it for all seasons! So sweet! What a fun autumn set! I love your projects–especially your beautiful scrapbook layout! Fall is my favorite season of the year. I must have all these new leaf stamps and dies. I can hardly wait!!! I have all the Fillable Frames, and I love that there are so many ways to use them. Fall is my favorite season, and I love the colors of autumn. The card with the different fall leaf colors really speaks to me! My first impressions of Falling Leaves is its versatility. Of course it works so beautifully for the autumn season, but as you can see in the last project, it is versaitle enough to apply to other seasons with a change in colors! Or to use as a background as in the first project scrapbook layout. Love its images as a silhouette! Bravo Heather!!! What great projects! I love how you keep incorporating older stamps into the projects with the new stamps! LOVE the scrapbook page. You are really making me look at all my stamps differently. Thanks for showing all the different uses for this great stamp set. It’s not just for the fall. I can’t get enough of tree stamps. I love this simple set. Fall is my favorite time of year and so I have a weakness for any stamps related to the season. I’m so excited about these sets – lots of versatility too! Great samples. What a wonderful set! I’ve been waiting for some fall goodies and this one is just great! Love the branch/tree image and how you can layer it so many different ways. It’s definitely going in my cart this month! Wow, stunning… how is it that my craft room has been complete without these beauties? I LOVE this set!! I have a “thing” for tree images and this is going to be a must-have!!! Beautiful set! I wish we were already having fall temps right now. Not a fan of the 100+ temps! This was so worth the wait! What amazing projects. Thank you for including a scrapbook page as one of your projects. I love to see ways to use stamps in my own scrapbooks. You’ve motivated me to get down to my scrap space and get going! Can’t wait to see what else you have in store for me this month! I love these sets! I am not a Halloween person, but I love fall!! Theses two sets are so wonderful!! Very versatile set and fillable frames with great samples as usual. Every pic is so clear and composed so well. What a wonderful stamp set! I would love to add this to my collection. I love a set that can be used in so many ways – including masculine cards! The trees that can be created will help me find a focal point for any occasion. I love your projects Nicole! The new set look really great! Wow, some beautiful creations, Nicole. Love all of Heather’s leaves. Just have to have that Fillable stamp and die too. The tree/leaf images are so modern! Love the Fillable Frames set, too! Always love a good tree set…a tree set that I can build my own tree is even better! Great ideas! Have to get them all! So excited! I have Through the Trees and Turning a New Leaf, but I must say that this set looks too adorable to pass up – and needs to be here with me…LOL. Your creations are always so inspiring! Ooooh. I love all the possibilities with the tree!! Simply beautiful once again!! I love leaves and can just see so many possibilities for Heather’s new falling leaves set. Fantastic to have both tree toppers & individual leaves to choose from. My mind is already whirling with possible projects! Loving this!! 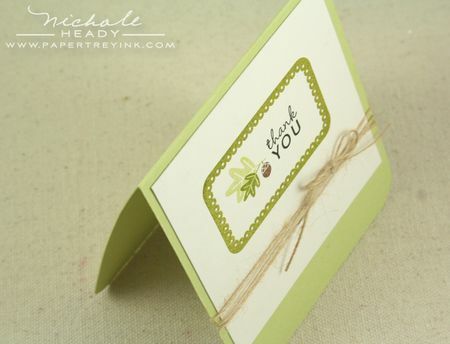 I especially love the card you made with Aqua Mist and Spring Moss…shows just how versatile this set can be. Of course, it is a natural set for fall, but it can be adapted to fit any season or occasion!!! Simply stunning!!! Great job Nichole and Pine!! This set is absolutely beautiful! I love the idea of building the trees, and I know it will be very versatile for more than just fall! I have one of Heather’s Fillable Frames sets with the die and think it is just the greatest thing – I love using it! I just love the tree set and all of the possibilites. I also appreciate the scrapbooking layout you did, as I know I could see myself incorporating my stamps into my own layouts :). I love all the fillable frames- so happy every month when a new one is available. Wonderful projects….I love the simplicity of the trees/leaves, and by varying the ink used….it changes the look from “whimsical” to “sophisticated”. Looks like such fun to use! I love these new sets. I think I want them both! I love the simple elegance to your cards today (and always.) The colors and designs are wonderful! Thank you for sharing! 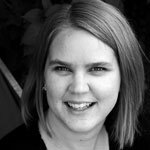 Heather is one of my favorite designers…versatile, buildable sets…I love how she ties her designs back to previous sets, or even just one element of a previous design. And, as always…your creations are beautiful again this month Nichole! Heather’s new additions to the Papertrey line are fabulous! LOVE how you showcased them in your projects today! The scrapbook page is stunning! How exciting! This is a great fillable frames set…I need to use the ones I have a little more creatively; thanks for the inspiration! Beautiful!!! My favorite is the Autumn card. The colors reminded me of our wedding flowers. I’ve said this many times before – I have a thing for leaf images, whether on trees or on the ground, so this set is a must have for me. Yet again, another set I don’t think I need and you have proven me wrong! I love that there are different sets of leaves so it can be used year round! Oh wow! I LOVE the Falling Leaves set. I’m such a sucker for anything fall. this is a beautiful leaf set and another wonderfully useful frame. your examples were gorgeous and showed such variety in the types of projects these sets can be used for. i especially like using the die on a large sheet of paper and then framing it underneath, great idea!! This is absolutely, hands down, my favorite stamp set peek in (my) PTI history. I love everything about this set and CAN NOT WAIT to get it home to me! What a fun and versatile tree set!!!! I do believe, fillable frames 7 will be my first purchase in the series… LOVE IT! Thanks for the ever-so-inspiring artwork, as usual! With all of the creative possibilities… this set is a steal! 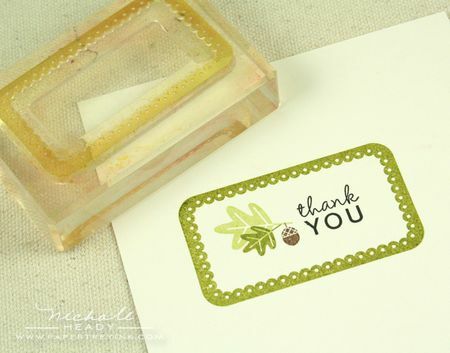 Thank you for sharing, & I especially love the little acorn thank you card. I am so ready for fall and this makes me even more ready! I thought I was “safe” because I already have Heather’s “Beyond Basic Borders”, but I was wrong! This is so stinkin’ adorable! I love all these fillable frames, and the falling leaves set — so many uses! I love the interchangeable leaves on the branch. Love, love, LOVE these! Oh Heather should be so proud ‘cos this stamp set looks FABULOUS!!!!! I love how many styles you can conquer with this set! All your examples are to die for Nichole, more talent in your little finger than I could ever dream of having! Love this! I almost bought a stamp similar to the branch yesterday (but didn’t since it was $10 and too choppy looking) and here you have a set for $15 today!! Yay! Definitely on my wish list for this month. Thanks for the ideas and the opportunity to win. Love all the projects today!! I’m really feeling inspired to try out making a scrapbook page thanks!! I am so looking foward to Fall and to using this set! Oh my, the possibilities with this set…. endless. Wow. I love those branches are leaves. And your cards are like always a grate inspiration. Thanks. Love the coordinating leaves/trees sets – so much versatility. I have purchased several of the fillable frames/dies – really love this month’s new addition!! I love trees!! Gorgeous set. What beautiful samples! I love these sets. The little tree is adorable. Thanks for a chance to win such an amazing prize package! I love this fillable frame. Great shape that can be used lots of places. Oh, I love these! That little acorn is sooo cute! These are just awesome. Autumn is quickly becoming my favorite season of the year. I love the colors. I am loving your scrapbook pages. You are really inspiring me to scrap again!! Great new sets today. Heather is so talented! The fillable frames is one of my favorite sets/series that you offer! I LOVE IT! The stamps are all so cute too! As a scrapbooker first and card maker second I’m loving the fillable frames sets. All of dies are great for journaling and a lot of sentiments work will for titles and journaling. I’ve collected them all can’t wait for this set. I love Heather’s clean style and Falling Leaves looks delightful. I love the clean and simple style of Falling Leaves. It’s beautiful. That Fillable Frame is cute, too. Looks like another great set! I love the fact that you can build the trees yourself, with whatever “foliage” you choose. Great idea! I’m in love with these dies, and the stamp set is so sweet! All of your projects are so inspiring, I can’t wait to get my hands on these babies. Fabulous! I can’t wait. I own all the other Fillable Frames because they’re so versitile. Great job! TFS. This is another great set! I’m so excited for this countdown because it reminds me that the holidays are just around the corner! 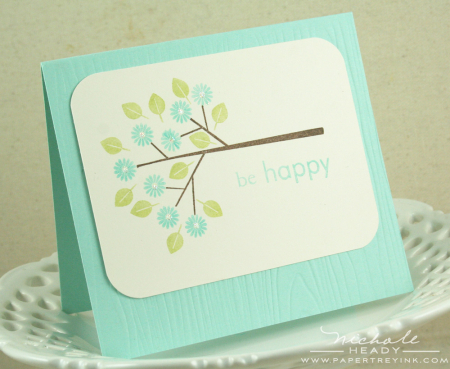 Love the scrapbook layout and your Be Happy card… beautiful!! Love the falling leaves set! I didn’t think I would need the die for the Fillable Frames set because I figured I could just cut out a rectangle on my own and round the edges – then I saw how you used the die to cut a window in the card and I had an “aahaa” moment – now I need it. Oh so pretty….I just love fall colours. They are so warm and cozy. Love the stamp set! What a cute set! I love how nicely it coordinates with the fillable frames. wow! love this, thanks for all the fun examples. 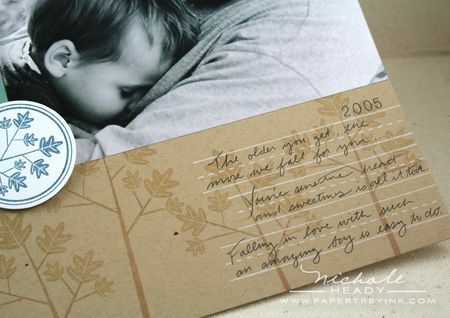 I just love these leaves – so glad you used the 2009 stamp set – I’m adding it to my order! What great sets! My favorite is the branch on its side “be Happy”. LOVE it. These are both must have’s!! Love all the samples!! Thanks for the inspiration!! Fall is my absolute favorite time of year. So I am loving this new set and all the beautiful samples. Thanks for your inspiration! I love how you show the versatility of the stamps. Trees just aren’t for fall. 🙂 And stamps are the only way I can experience fall here in Phoenix-it’s not like the fall of my childhood growing up in the midwest. reminds me a bit of home. Thanks for the inspiration! Love it! A tree for every season and so many other things. I’m in love with fillable frames and this is a must for my collection. 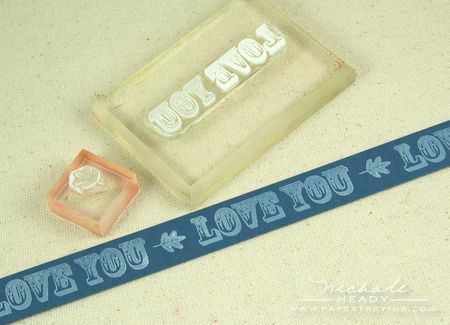 I have to say WOW..its really a versatile stamp set, one can do A LOT with it! and your samples are really awesome, totally worth the wait! very pretty projects. Hope all us well. Can’t wait until the release. I am loving both sets! Beautiful samples as always. This set is making me so excited for Fall. I love it! I have been a fan of the Fillable Frames since their debut! And I love fall sets and this one does not disappoint! Can’t wait for a full reveal on release night! What an adorable page!!!! Love the sets! So beautiful!!! The Fillable Frames line is one of my absolute favorites!! They literally can coordinate with every other set that is out there, or they look wonderful on their own too! I can’t wait to get these…and Falling Leaves looks perfect for all kinds of occasions…or even the ever-difficult masculine themes! Another gorgeous scrapbook page, Wow! Love Heather’s designs and have all the Fillable Frames series. I find I am using them a lot and using the sentiments even more. Thanks to Heather for thinking of that series, I didn’t even know I needed it! Heather’s sets are so awesome! Love the little acorn, it’s calling my name. I totally dig seeing videos from you all!! I really really really love everything about FALL – leaves and trees and the colors! Definitely on my list of must order. I really do enjoy the scrap pages your are showing as well. Inspiring me to get back into scrapping. Love this new set! Flowers, leaves, trees, they all do it for me! Your examples are sooooo great. Thanks for sharing your talents. Today’s set is so inspiring – I love all the projects! This is such a charming set! Love the possibilities for building different images and allowing the creativity to flow! That post was definitely worth the wait!!! Beautiful projects!!! Can’t wait to see the whole sets… I love how you think outside the box and give us ideas on how to mix and match stamp sets. Such a sweet moment you captured on your scrapbook page, Nichole! 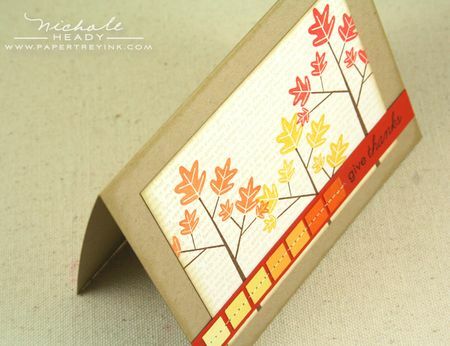 I love Heather’s cute little Falling Leaves set and Fillable Frames #7 is such a nice addition to the others!!! There’s something about tree sets and autumny leaves that I just can’t resist! I’m loving this set, and the ways in which you’ve paired it with the latest fillable frames is wonderful too! Fall is my favorite season, and Thanksgiving is my favorite holiday! I can’t wait to see the rest of this set! Oh, wow! Heather’s new sets are going to be one of my favorites! Fall is my favorite season of all, and getting fresh, ripe apples is one part of why. LOVE your apple card! It is so clean and beautifully designed. I am so excited for this set – yay!! I love anything “fallish” and this just fits in perfectly. I am just now catching the fillable frames bug and trying to catch up. Oh my goodness these projects are amazing and the use of the stamp set is great. I’m loving the branch. another lovely set from heather! your projects are just beautiful! A set for making fall cards is on my list of things I need… I think this set will be perfect! I love the fillable frames series. It’s so fun to mix-and-match the frames and sentiments. I’m certainly looking forward to #7. I love Heather’s new set! Fall is my favorite time of year and you have shown great examples of how this set can be used! I also love the frames and I do have all of the previous ones! They can be used in so many different ways and are such a great value! I love the different possibilities this set offers! But more than anything I love the fillable frames sets… they get better and better! I love the use of making a frame for the sentiment…. And love all the fall inspiration. Both of these sets by Heather are great! I love her style. Simple, but adorable. Thanks for the inspiration. I love how everything designed by Heather is so affordable. Stamps sets $15, Dies $5, Filler stamps $5, your projects and inspirations priceless. This was certainly worth the wait! I am loving the versatility of this set and how it is not just for Fall! Your projects are beautiful, and once again, thanks for highlighting some layouts! Amazing sets again this month. Nichole, you are amazing! I say it every month, but it’s true! Your projects are so unfussy but stunning! I love every one of them! I can’t wait to get this Fillable Frames set–it’s my favorite yet! And I love trees and leaves–they are great for masculine or feminine projects. Wow, two more amazing sets (like I expect anything less from PTI)! I am addicted to those fillable frames, they are simply wonderful! I would also love another tree set since they are so gender neutral, it makes masculine cards easy! Awesome samples once again!!! You continue to amaze me! I expecially love the card with the fall colors and the scrapbook page! I am soooo in love with this new fall set! I always love Heather’s sets (must be a MN thing) 🙂 I do have all the fillable frames & dies so far and look forward to adding to my collection each month! I love how they are the perfect size for so many things. I so hope everyone/everything is ok at your house. I likened waiting for your post to the feeling I have every August here in AZ — waiting for fall because we’re so tired of 110 degree heat – LOL! How refreshing to see these fabulous ideas and such variety of ways to use Heather’s new set — LOVE it!!! Can’t wait for more. . . .
Great versatile set! Love the frame. Love Heather’s sets as always and your examples are always so beautiful and inspiring! I love trees and fall is one of my favorite times of the year….we have had 100 plus degree weather for so long..I can hardly wait until fall and feel the leaves crushing under my feet and the cool, crisp air! Can’t wait to see the rest of this release! I am so in love with both of these sets! They’re perfect together and also on their own. The Fillable Frames die and stamps are amazing and I’ve already got ideas flowing. The trees and leaves are such a great size – this is going to be one of those sets that I reach for over and over and over. Can’t wait to get my inky hands on everything!! I have fallen in love with this set already! I love Fall and this set just made my day:) I can’t wait for the release! I own every fillable frames and use them all frequently. Love that they are so versatile for only $5! oh wow wow wow! Love the tree that I can decorate how I want. And it’s adorable on its own, too. Fab! These sets are all so neat, I can’t wait to own them. I love the tree set! I have been wanting a tree set and haven’t found the perfect set, but I think this set is the one! I love the different options for the trees! Can’t wait to play around with this one. Oh, this set is so cute. Love that tiny acorn and apple. I really love the spring colors you used in the card. The Fall sets are so versatile. While I’m not a huge fan of autumn, I can see how I could use them in many other ways. Thanks for another great sneak peek! Love this! I dont have any of the fillable frames yet but this one is a MUST. will be perfect for tags and just about anytihng:) and the buildin tree set just looks adorable! Autumn is my favorite season, and I just love PTI’s autumn releases! I can’t wait to play with Heather’s new set, and I’m going to go to my stamping room and try out that line of squares in graduated colors right now! OOOHHH, I adore these images! I love that they are simply complex, does that make sense? You can got small, clean and graphic or layered and filled with activity. Great set! This is a really wonderful set! I am so inspired by nature and Heather gets it just right! I don’t have any of the fillable frames yet. I’m afraid that if I start, I won’t be able to stop. I just love the versatility of these sets! Thanks for showing us so many examples of how they can be used together. How neat that the tree can be used as a branch or a trunk. And with all seasons too – I can see the trunk with white flower soft on it as snow! FUN! Love Heather’s new sets and how versatile they are! I love trees and leaves. These would be great in fall colors. Super cute, I can imaginge all kinds of things hanging from the tree. What a fun set. Of course another Fillable Frame I can’t live without! I love both of these sets you’ve featured today! I have the Autumn Tags set from last year, and it is one of my favorites. It’s great to know that Falling Leaves coordinates with it. And, I have a couple of the Fillable Frames sets, too. I love this new one and can’t wait to add it to my collection! Autumn is my favorite time of year and this set is a must have for my collection! Thanks for another great set Heather! I love all the fillable frames and this one does not disappoint! It is fabulous b/c I love scallops! Love it! I love these sets! Once again – thanks for doing a scrapbook page to show the versatility of these stamps. i do make cards – but my first love is scrapbooking! Can’t wait to fill my cart. I love the falling leaves, especially the little acorn!! I am working on collecting the fillable frames, but I’m not there yet! Oh my gosh, I didn’t think I would like this set and as usual, Nichole, you have changed my mind… the possibilities…. I’m trying to keep within my budget and you’re making it very difficult:) I love this new set! I thought at first I could go without, but with all of your examples, it is now a must have! Heather’s new sets are great! They say simplicity and fresh, clean images to me. A cool contrast to multilayered cards that I often find way too overwhelming for me. I have all but one of Heather’s Fillable frames and use them a LOT. I look forward to a FULL shopping cart with this fabulous release! I love this new tree set! I have a weakness for apples! I am over the moon that there is a little apple to stamp on this adorable branch. How cute is that? Great set Heather! Also, I love the new fillable frame. I still don’t own any, but they are on my long wish list. THe aqua mist card is so beautiful and so simple. Another wonderful set from Heather! I love trees and really like this stylized version as I only have naturalistic trees in my stamp library at the moment. Really love these cards and wouldn’t it be lovely to stamp the tree in all four seasons! Falling for this stuff…I would love to win it! Well worth the wait. I love this set! Fall is the favorite time of the year for me and I’m convinced that I can never have too many fall related stamp sets in my collection. =) It’s the textures, colors, smells, the cool air…I just love it. This is definitely a must have for me. Seriously gorgeous! What a great versatile set! Also love the simplicity of the fillable frame this month! Both of today’s peeks are great! I have all the frames duos so far – this would be a great addition. Plus, I love trees! Perfect. Your work is so inspiring, Nichole! I love your projects – that set looks fabulous! And I want to start building up a fillable frames collection! All of your cards are gorgeous Nichole!!! I am loving Heather’s set and of course the fillable frames, I love them all!!! I totally adore fall and this set is wonderful! Love how you turned the tree image on it’s side to look like a branch. Thanks for incorporating the fillable frames set with this one. I can’t wait to get new ideas every month from your releases! This will be a wonderful addition to my PTI collection…can’t wait to get my hands on it!! Thanks for the inspiration! I love these images! Both stamp sets work so well together and have the perfect touch of rustic charm! I am excited to see that they can be used for all seasons by varying the colors and accent stamps used! Your scrapbook layout is beautiful and your Scarlet Jewel embossed and sponged card is stunning! This was a stamp set that I thought I could do without. Wrong again! Love it, gotta have it! OMG so cool!!! I love how the branch is separate from the leaves and extras. That makes for endless creativity!! love it! Trees and leaves and acorns, oh my! I love the simplicity of the images. Very very lovely. And your samples are perfect as always! be able to start on some Fall projects. I love the tree set AND the fillable frame! Thanks for the chance to win! This looks like (another) truly wonderful and must have stamp set. The acorn cinched the deal. Good thing it’s summer and the utility bill is low lol. Really stinkin’ cute set! I love the apple and the baker’s twine to accent the apple! Oh, fall and outdoors…all the fall PTI colors! Lovely prize package for some nature lover! I have have FF1 and find it adds great dimension to the fronts of my cards! FF1 has been fun with the long note pads too! OMG how fabulously adorable! I am SO excited to see sets for use with both cardmaking and scrapbooking! Both of my fav past times! Thank you again PTI! Nice to build trees! I love your “one layer cards”, expecially the last two. This set is so cute! Love it and the new fillable frames! I love that it doesn’t have to be used for just fall; you could use it for any season! Spectacular and gorgeous projects. The different leaf types are awesome and the acorn is irresistible!!! Can’t wait to play with these wonderful products!! Nichole—these sets are great. I do love the versatility of the branch/trunk in Heather’s new set. Your Aqua Mist card is so great—I need to make more CAS cards—still just as beautiful and not as complicated! Fillable frames has been one of my favorite items you have added this year—affordable with lots of bang for my buck! Thanks for the inspiration! The falling leaves stamps look like a must have! I am also collecting all the fillable frames, and love how you have combined the two sets! I love anything with leaves – I can’t wait to see the entire set! I love the Falling Leaves set! It looks so versatile. And I love the projects you created with it. Such great examples!! Oh – I want, I want!!! I’m loving everything that you’ve show so far – really starting to think about fall and halloween projects! So beautiful! I cannot wait to get my hands on this set! love these sets. i am collecting all of the fillable frames & matching dies, they are so versatile. my first pti purchase was through the trees, so i thought i wouldn’t need another tree set, boy was i wrong. falling leaves is a must have for me, your projects are so inspiring. thanks. i am really loving the falling leaves set. that tiny acorn just makes me smile!!! This cute set is so versatile! Thanks for letting us have a chance to win it! The stamps are beautiful. Wonderful samples! I love Heather’s homespun style. The simple branch, leaves and adornments are beautiful and perfect for use in such a variety of styles!! Another must-have PTI set. Such a great fall set! It reminds of home where I grew up. The changing of color on the leaves. Another fabulous addition to the fillable frames collections and the Falling Leaves set has so many possibilities. Your samples are so inspiring!!! This set is a BIG must have. The cards and the layout is so nice. Thank you for the inspiration!!! I really love nature inspired sets and this one is awesome. All of the projects were great. The one that caught my eye was the border done with 1″squares to create a monochromatic, variegated look! Can’t wait to see more! I love your monochromatic border with the squares. you are so creative and inspiring. I love all things trees so this set is a must. Heather continues to wow us with her stamp designs! Nichole, your work is amazing! I love the scrapbook page – so sweet! Well worth the wait as always! I am so ready to send the squabling rugrats back to school and fall brings that option to me. Love, love, love the leaves and the tiny acorn. Come on fall, and get here already! Love the fall colors and halloween. Lots of ideas in the making with the tree set. LOVE the trees/leaves! LOVE these! Sweet sets! And the projects are lovely as always. Thanks for the chance to win. The tree image and components looks so fun to work with. Love your aqua card with the wood grain impression. 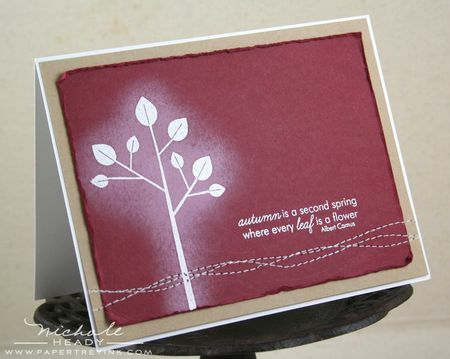 Also enjoyed the video Heather posted on her blog yesterday showing how to use the images to make complete cards. Wow, just gorgeous! I love these & all of your samples. I am in love with this new falling leaves set. It is also my favorite time of the year. I love the colors, the images, just everything about fall. I love the fall season so this new fall set just grabs me. It looks so easy to use and I love all the ideas I’m seeing. The wait was so worth it! Your designs were so fantastic! I have all of the Fillable Frames sets. This new one is simple yet beautiful. I can’t wait to get it and the Falling Leaves set. Awesome new stamp set for my FAVORITE time of year – I can’t wait for this set to be available. Trees are my absolute favorite thing in nature. Thanks for all the marvelous ideas. I am IN LOVE. This set is sooo cool! I love the variety of projects you showcased it with Nichole! Very cute set! Love this frame and the font is wonderful! I love the tree and the different leaves!! Oh those little apple trees are so cute! Beautiful work!! Love this latest addition to Fillable Frames. I have all but one of the series thus far, and it looks like I’ll be adding another to my collection. Thanks for all the great inspiration! OMG! I love fall, and I love these supercute stamps. Your samples, as always, are just gorgeous! What a perfectly simple Fall leaf set! It will be a wonderful addition to the Autumn Tag set I purchased last year. Both of Heather’s new sets look amazing, and your projects, Nichole, are the best. Thank you for your continuous inspiration! I love all the project on your blog. It makes me want to splurge! So many possibilities for this wonderful set! I love you Give Thanks card! These fall projects are great. Must say you captured autumn very well. Wow! I love everything. I love the clean and simple style of these stamps and cards! Love all the different looks from one set! What beautiful color schemes. My fave just might be the way the white just pops off of the Scarlet Jewel cardstock! Really great set as usual. Love the tree/branch and all the great inspirational projects in today’s post! I am so in love with the set! I wasn’t sure about this set until I watched Heather’s video and saw how easily she created those cards. And I especially love how there’s been scrapbook pages incorporated into the mix as well. Another awesome set from Heather Nichols – love all the options for layering and combining images. And so many gorgeous samples today – totally inspiring, thanks Nichole! I love this set and can’t wait to get my hands on it. Thanks for all the great projects they are so inspiring and creative as usual. I really love the tree sets and can’t wait to try them for all seasons. This is an adorable set! I love the versatility of the leaves and the trees and limbs! Your samples are amazing as usual, Nicole! Love it! Loving all of the leaves,apples,and acorns!Fall is my favorite time of the year and these sets are sure to make it better!Love the FF#7, it will for sure become one that I reach for often! Like all of Heather’s other sets, these are great! They have such a simple and cozy style and are so useful for a lot of projects. The frames make wonderful tags and the tiny motifs and words make it simple to adorn the tags. Oh I do love the rustic style of all of Heather’s sets. The leaf, apple & acorn are adorable! I love how your projects showcase each set’s versatility with other PTI sets. This is a gorgeous set. Love that it’s trendy trees and leaves, but done with a new twist. Oh my goodness, I love autumn and anything that has to do with leaves……(I also think they are good for making masculine cards). I would LOVE to win this wonderful package! I have everything crossed here! I love Heather’s style! This set is especially beautiful …. love trees and leaves!! Love the different leaf options, and that it looks equally charming used as a tree or branch! This set is so great! I love the tree image that can be used to be a tree or a branch. The companion images make it so versatile. I just LOVE these new sets from Heather. I have all the fillable frames sets and plan on getting all the future sets as well. They are so wonderful for making quick tags and cards. I plan on making assortments from all the sets for Christmas gifts. Love the fall set too!!! You were right…your post WAS worth the wait! I am SO excited about this month! Thanks so much for the opportunity to win! Great set. The cards are beautiful and I love, love, love that tree with glittery apples. Looks like I’m going to have to make a purchase this month… and I was doing so well. Dang you, Heather! I love this! Great Autumn/leave sets – love all the projects and Fall colors! Love the branch and two tree topper images – so very cute and it look wonderful paired with a frame too. O I love the Falling Leaves set! 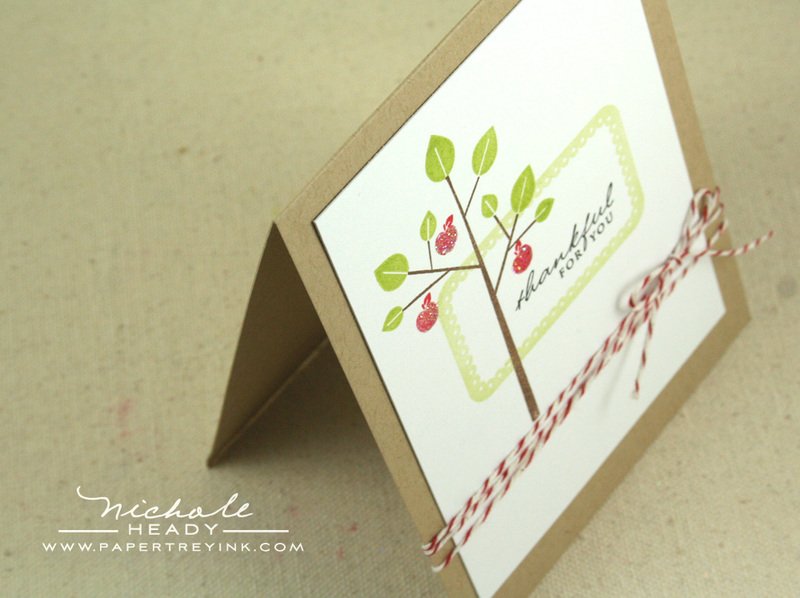 Trees are one of my favorite images to use in both cardmaking and scrapping! I love the every leaf card and cannot wait to CASE it! Love this set! Love Fall! Beautiful projects! I had convinced myself I didn’t need it until…I saw your last card. I love it! Wow! These are really great sets. i love all of the projects. heather’s new set is so pretty and so are the cards. Such fun sets! The leaves and branches will make lots of great cards in all seasons! Love Heather’s fillable frames. I have a couple of the sets. Your card samples are fabulous as always! So inspiring! I have all of the fillable frames so far, and I think its one of your best ideas yet! I love the concept and I have been incorporating them into almost all of my cards lately! Love Heather’s style and both of her new sets!! Cute set. I like the little glitter apples you did! Thanks for sharing. Love that you’re doing more scrapbook pages! I really need to scrap my life more and this is just great inspiration to do so! Love the fun simple cards you created as well! Love what you’ve done with this set! Once again you’ve convinced me that I need this set!! My wish list is GROWING!! Pure genius! I love this tree/branch building set — and I am amazed at the out of the ordinary way you’ve used it! 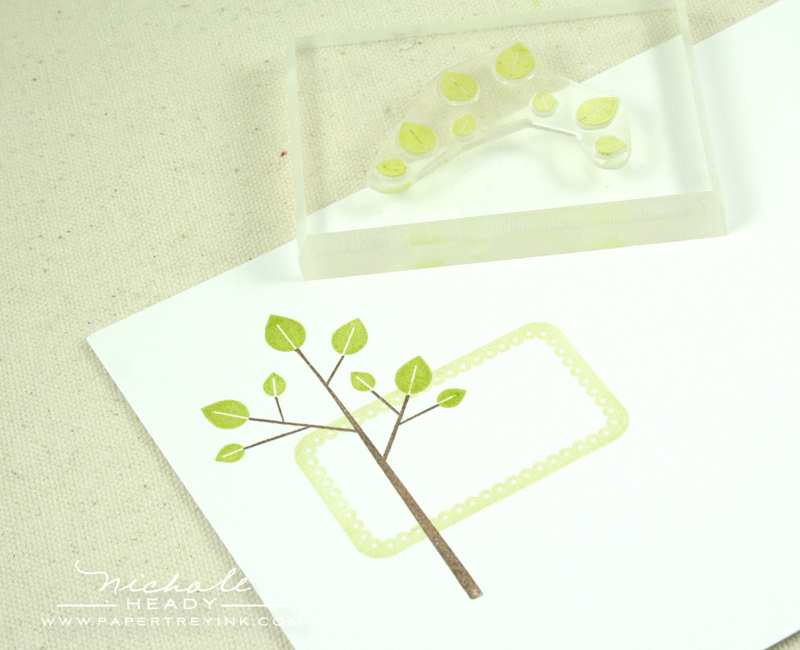 And pairing it up with the fillable frames stamp and die, along with using the Beautiful Blooms II small flower for a springtime version of the tree — well I am SO looking forward to seeing more! Thanks for sharing your creative genius! Fall is my favorite season and I love this new set. Would be awesome to win. Your scrapbook layout turned out so cute. I have all of the fillable frames set, I just love them and can’t wait to get this one! Miss Heather is an absolute genius. I love Autumn and pairing it with Fillable Frames is fabulous! Thank you so much for all the inspiration. Heather’s falling leaves are so cute. Looks like a fun set to just sit and play with all the possibilities. Nicole that last card is a beauty! Love what you did by adding in an older set! My first thought was “Can I really afford another set with a tree in it?” The answer is “YES! I have to have this!” I should have known that I would given that I love Heather’s style! Both sets will be great for scrapping and card making!! Trees and leaves are so versatile anyways. But when the come from PTI they’re absolutely fabulous as well! Beautiful projects!! I love the variety of projects that you are doing. I don’t have any of the fillable frames but as I see them on so many creations I have been adding them to my wish list. Thanks for the inspiration!! I am already “falling” in love with these new sets and I don’t even own them…yet! Fall is my favorite season, so, naturally I will have this set added to my wish list! 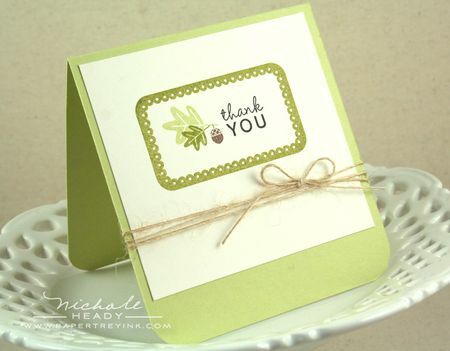 Great layout and cards–I really like the Give Thanks card. Thanks for all the inspriation. I have other fillable frames sets and love them–they are so versatile. And, it is so nice to have dies to match!!! WOW Nichole, you’re really making me want this set. I love everything you’ve done with it. Definitely my favorite set so far!! 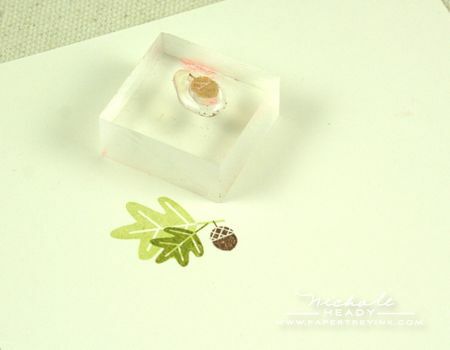 Could the itty bitty acorn stamp be any cuter? Love, love, love these designs! Wow, I love all of your ideas with this fun set along with the new fillable frame. You really emphasized the versatility. Thanks. I love all things nature, so this set is a no-brainer for me! I love Heather’s style. I have a million (ok, maybe a few less) birds and butterflies and other creatures I could pair with this set! I love the Fillable Frames series! I have everyone and am looking forward to getting FF#7! In fact I hope the frames series continues past this year!! I just love them all! Heather is my absolute favorite of your designers and she doesn’t disappoint with this release! I would love to win her sets this month (but I will be buying them even if I don’t win!) Thanks so much for the chance to win a great “treet”! What a versatile set! Wonderful inspirations! I love this set. At first I wasn’t sure but now that I see what you have done, I love the various things it can be used for. Beautiful! Another must have from the fillable frames!!! 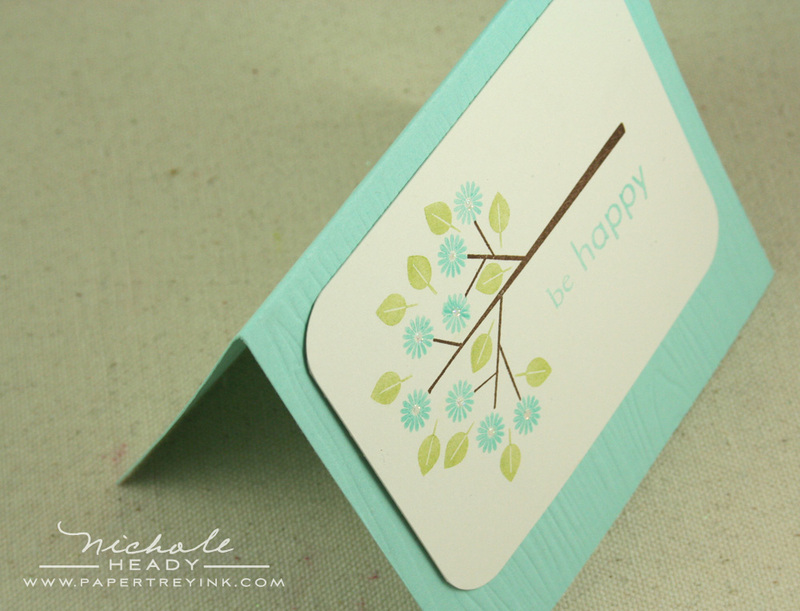 I love this concept that Heather came up with and they are just perfect for cards and layouts! I hope she just keeps them coming!!!! I can see why this took you longer to post today. What projects you have done!! I adore every one of your ideas. I don’t know how you do this month after month, but you never disappoint me. Thank you. Again, you’ve outdone yourself with these projects as they are beautiful! Both your scrapbook page and the one on Heather’s blog using her new Falling Leaves and Fillable Frames 7 have me so excited for these new sets! The Falling Leaves set is sooooo beautiful!! I also love how you made the frame frame the fillable frames die… it really gives the project great dimension. Can’t wait to see the rest! Love the samples, halloween stamps are cute, and once again, have to have the fillable frames! Also loving the fall stamp set. I love these sets. The fillable frames would make a perfect table setting place card along with the other set for Thanksgiving. Oooh, I love the Falling leaves set so much. I can’t wait to see all of it. I had to read the whole post thru twice because I just loved the good feeling I got from scrollllllling down… wonderful!!! Love both these new sets from Heather! I love your cards, they really show that this set isn’t only for fall! What an awesome set. I love all of the fill able frames and dies. Heather’s new sets is fabulous just like all her past sets. Can’t wait to get one and start stamping. Beautiful projects!! Thanks for the inspiration! I love both of these stamp sets! It’s really going to be hard to decide what to order this month. Yikes! I am definitely impressed! I especially loved the autumn-colored card. The gradient of squares at the bottom is so delightful! i love it all without a doubt! Wow! Amazing! I LOVE Fall and am FALLING for these sets! Love them! Oh my! Another beautiful set from Heather. So glad to have finally met her at CHA! Amazing…. Gosh, I’d looooove to win this package! Thanks for the chance to win. I’ve picked up a few PTI things this year, but don’t yet own any dies or fillable frames stamps, and I love Through the Trees as well. Fall is my favorite season – so it’s no surprise that I absolutely love this set. Can’t wait to get it! This set is so amazingly versatile..at first I didn’t think I’d like it much, but I love it! LOve this set …. your lay out has such a sweet lovely feeling.Just beautiful the cards too! The cute little acorn is so adorable and the little flower from Beautiful Blooms too is also my most used flower I am in love with it. You just keep coming up with more great stuff! These designs are so versatile — I’m loving all your samples! Love the fillable frames! Another great set as always. Love it! Fall is my favorite time and this is a must have set. I was thinking I didn’t really need another tree set but after seeing your examples, it’s definately going on my “Must Have” list. Looks like I need another fillable frames to add to my growing collection. And the leaves set looks great too- so versatile. I really like this set! 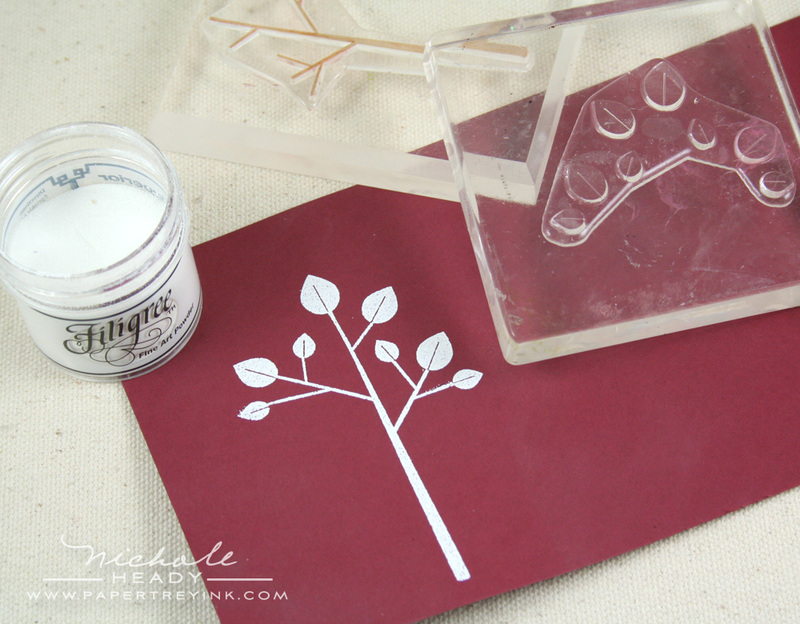 I LOVE the card you made using Aqua Mist & Spring Moss! That is gorgeous!! Wow this set is so versatile!!! Trees for every season. I especially love the fall colors. With this HOT summer, I am looking forward to some falling leaves and cool breezes. Love this frame, and while I didn’t think I needed another leaf set, I may be getting another one! What a nice pleasant set that doesn’t seem too intimidating. Just very useful! The beauty of this set is in its simplicity – lovely! The scrapbook pages you have been doing lately are making me want to take up scraping. Gorgeous once again! And I always love what Heather creates. Godness I’m ready for fall! LOVE, love, love Heather’s new set! Your samples are so so GREAT!! These new goodies are all “must haves”. Oh my gosh! This post is giving me a craving….for it all! The scrapbooking pages are wonderful! I always need ideas for those! Everything looks so beautiful, fun, clean & simple….I can’t take it! WOW! I LOVE the falling leaves set. Can’t wait to get it. Such a wonderful designer! Thanks Heather for giving us such fun things to play with. Another great set by “Pine”. Great projects! I think this is my favorite fillable frame. Wonderful projects, Nichole. Love Heather’s new sets. I like how the fillable frames sets work with or without the die. I am a HUGE fan of the fillable frames sets – I have most of them and plan to buy all. They are so fun and versatile. The little frame just adds so much and can be used with TONS of sentiments in your stash. Falling Leaves – I am in love with the dainty flowers and leaves in this set. 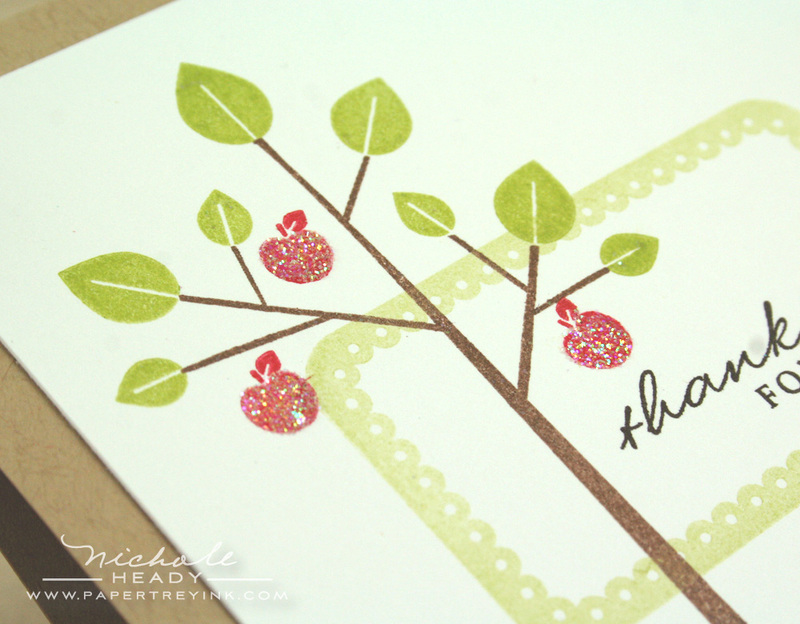 And your simple, glittered apple thank you card is AMAZING! I love, love, love how you walk us through the steps of each project… Thanks for the inspiration. I couldn’t agree more, I think Heather Nichols is an amazing designer and paper artist. There’s so much you can do with this set. I love fall so this set would be perfect. Thanks for the chance to win it. I like that the falling leaves set has more applications than autumn inspired cards. Looks great! I always fall in love with Heather’s sets. I have all of the fillable frames and will be adding this one as well as the adorable falling leaves set. Those tiny acorns and apples are divine! Oh my this is my favorite of all so far, love the interactivity this provides! This was definitely worth the wait. Nobody does trees & leaves like PTI. And, thank you for the inspiration – I just got my idea for my Christmas cards. White embossed onto scarlet jewel paper! Awesome. wow..just the right balance of cute and simple!! What a great set! I love the different leaves and little embellishing touches that you’ve sneak peaked! That little apple and acorn are just too cute! I love that it coordinates with the 2009 Autumn tags, and has 2 different toppers – it makes the set so versatile. A must have! Fabulous new set – Heather has done it again! My goodness! Leaves, trees, great sentiments, cute frame, what’s NOT to love here???? I seem to love everything Heather creates — especially the fillable frames. I may have to have it all!! Love Heather’s stuff. I love her style. And I love all things fall. This will be hard to resist. I don’t have a tree set yet, love this one! Loving the trees and leaves–so versatile, you can use them all 4 seasons. Must say that fall is my favorite though. thanks for the chance to win. I really love what you did with the Falling Leaves set, just beautiful. How lovely is that little apple and acorn! Love this set! Perfect for the next season! LOVE the tree and leaves set which is SO getting me in the mood for fall! The cards are wonderful – thank you for such great ideas. And the fillable frames always make me drool bc the possibilities are endless!! You just have to say that the diecuts are just great and look forward to many more months to come. I love the apples on the trees. My favorite fruit. Love seeing all the different possibilities. Love Heather’s style! Wow! I love it all!!! I love the fillable frames, the branches, the leaves/acorns – I just love it all and can’t wait to see the entire sets! Wow! I am in love with you apple card and the Aqua be happy card. Both are awesome uses of this stamp set. I love how much thought goes into stamp set creation – the fact that this new set coordinates with an older tag is perfect! These are just beautiful. I seem to like everything Heather designs. GORGEOUS! I love this set! I love the size of the gorgeous leaves! Crossing my fingers on this one!!!!!!!!!!!!!!!!!!!!! This is a beautiful set. I can see myself using this on all kinds of projects. Thanks for the inspiration! Wow! Who would think that a set called Falling Leaves would be this versatile! Wow! Wow! Wow! I’m loving this set!! I love anything with trees and leaves and the cards you’ve created are gorgeous. I absolutely love these sets! I am so inspired to get started on fall projects!!! Thanks so much! Can’t wait to see more!!! Great job Heather! Love the new sets and projects. God bless! I am so in love with this set. Heather rocks! Those little leaves are so precious. I look forward to the many possibilities this set holds. Love all of the Fillable Frame Sets….they are so fun to interchange and give a new look …..I always look forward to the new release! I’ve been anxious to see more of the tree stamp set…and can’t wait to see the whole thing! Love that you think about a different color of leaves and put those on a separate stamp–thank you!!! I love LEAVES! and I can’t wait for this set…I have so many ideas floating through my head on how to use these for Thanksgiving invites and place cards…so fun! LOVE that sweet tree! Looks like so many fun accessory stamps to use with it too…. adorable! Can’t wait to get this one! Tree and leaves stamps are really versatile. Makes a quick card pretty easily. What a fabulous set. I love all the various ways to use it! Thanks for the awesome samples. Fall is my favorite season – thanks for fueling my stamp addiction! I love the falling leaves, it looks to be such a beautiful set and of course, very versatile. I love fall and anything that has to do with leaves. Fabulous set! Can’t wait to own it! I just love all of the Fillalbe frame sets! This new falling leave set is fabulous too! Oh Myyy, these two sets are awesome! There is just something about trees and leaves that I can’t resist~maybe memories of living in New England are weighing on my mind lately? The Fillable Frames are another fun addition to PTI’s vast collection of fabulously versatile stamps. GREAT additions! This looks like a wonderful set. Great job, Heather! Love this falling leaves set. I don’t have anything fallish and this would be perfect! Amazing job once again! I love the Fall, so this is a must have. Love fillable frames #7 too. Pick me, Pick me, Pick me !! all of your projects are so beautiful. I am “fall”-ing in love with Heather’s new set. Love it and see so many more possibilities thanks to your post today! Love the falling leaves plus the frame and die are so cute. Thanks for the chance to win. Trees and leaves – sign me up. Can never have too many! What an adorable set! Looks really versatile too! Yea! This is awesome – I am so ready for fall! Yes, it was worth the wait. I love the new fillable frame, and of course will need to get it to add to my collection. The falling leaves set it great. The simple images make such an impact on the cards, I really love the aqua mist card, the color combination is great. These images are so clean, crisp and beautiful. I am totally in love with the white embossing powder on the scarlet jewel. I have got to try sponging fresh snow on the outside of an embossed image. Stunning. Wow.. this looks like such a cool set! Great new set! I love all of these projects. Your Scarlet Jewel card is stunning and the scrapbook page is so precious. Such a fun and classic set! Great for so many seasons and uses! Love it all! I’ve always been obsessed with leaves, so these are all going on my list! Super cute! I love the tree image. Any stamp set that features a tree is a must-have for me. I love the layout example again today. Beautiful projects! Can’t wait to see the entire set! I love everything about fall, especially the colors of the leaves. This is a great set that would be versatile for all seasons. I would love to get these. I have quite a few papertrey sets but no trees yet. What a wonderful addition it would be to my stamps. I love any stamp with branches and leaves. They’re so versatile and can be used for any season. This is a must have set! Another hit in my opinion. There is something about trees that fascinate me so this is a “must have” for me. Wow – love these new fall sets – they look amazing! Love anything with trees & leaves. LOVE Heather’s new fillable frames – I have one and use it all the time. I hope to be able to add all of them to my collection eventually – they’re SO practical, fun & easy to use – they add the perfect touch to any card! I love anything nature related and trees and leaves are absolute favorites! Fabulous samples by both you and Heather–can’t wait to see more! All of the projects are beautiful. My favorite, is again, the scrapbook page. I can see my fall pages using this set. I love your page. I love seeing how you use the stamps on your scrapbook pages. Thank you. Autumn is my favorite time of year and Heather’s set will be perfect. So simple but will make beautiful cards. Oh my gosh. I LOVE those leaves. Your last card (okay, all of them) is just stunning. I love the colour combo! Such a versatile set, I’m impressed! I love all the samples, Nichole, you never fail to blow me away! In. Love. That’s all I have to say about that! Love the trees and leaves! Fantastic ideas (as always :)). Love the leaves! Love the die! Perfect! I am really looking forward to both of these sets! The build-a-tree idea is fab, and it looks like this might be the best Fillable Frame yet! I enjoyed Heather’s video on this and like seeing your use of it in other seasons. It is great on the scrapbook page. I’m really lovin’ the scrapbook examples lately. They are great inspirations for me. Absolutely love your scrapbook page. What a great memory. Another outstanding release! love the rustic look of this stamp set! I love the look of this! Falling for you….. how clever…. I love love your scrapbook page. This is an awesome set for Autumn!! THANK YOU! All I can say Heather is WOW! You are so talented and creative. I love all your projects they are so inspiring to me, thank you for that. The Falling Leaves stamp set looks wonderful, as are all of Heather’s sets! Can’t wait to start using it. I really love the variety of cards you’ve created with this set Nichole! ANother great set from Heather. Love your creations. I love fall- it is by far my favorite time of the year! This set will definitely be coming to my house! I love how Heather’s sets are simple enough to not be intimidating, but can make some of the most adorable projects. This holds true with this set and we can all use a new stamp set for Fall! Love that tree, so many uses. This set has Heather written all over it. Love the tree. Love the leaves. Great projects. I adore everything Heather creates, so it’s no surprise I love today’s sets. I also appreciate that you have been showcasing scrapbooking pages. Thanks for another great day! I always fall in love with Heather’s sets…Falling Leaves is no exception. And. I’m seriously addicted to Fillable Frames…one of your best ideas evah! This is really an amazing set, the amount cards that can be created from it fasinates me! and being able to use it to do a layout for scrapbooking just leaves me wanting it more. The set looks gorgeous! I love all the sets that Heather has designed, but this one is special because I love all things with trees and leaves (an there is an acorn: I love acorn images). Totally inspired by your samples for this set, too! My favorite is the Be Happy card! Love those colors! Who wouldn’t love to see that in their mailbox! So cute! LOVIN’ the fall set…put’s me in the mood for falling leaves and cool temps…the new fillable frame will come in very handy! Falling Leaves is a classic set that can be used for so many different types of cards. I love how you are making so many scrapbook pages in your samples lately, Nichole. Love them. I don’t think that I have ever seen a Heather Nichols set I didn’t fall in love with immediately and this one is no exception. Thanks Nichole for the wonderful inspiration! 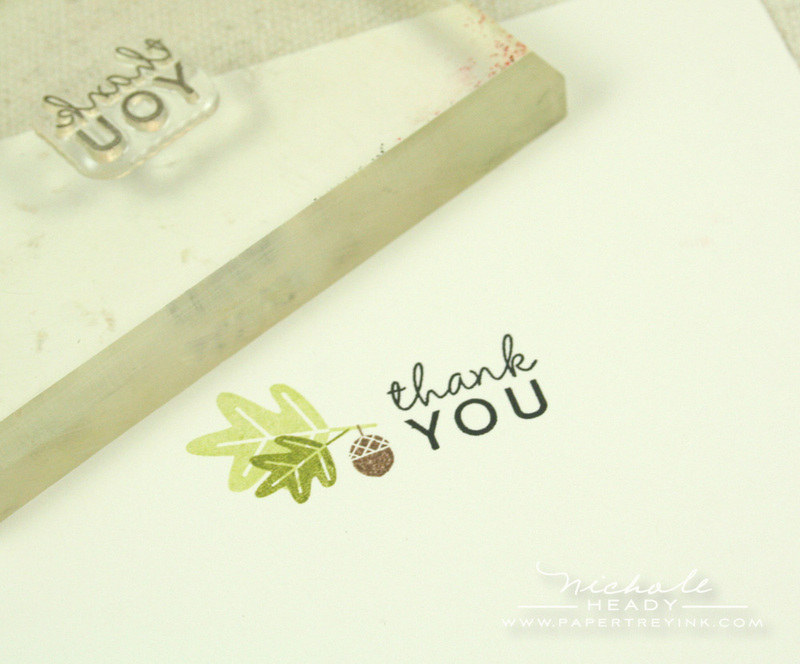 And thanks to Heather for designing stamp sets that are so easy to use in so many different ways! simply beautiful- as is her style! Looks like this set could be used for those “oh, so hard” masculine cards! I love the projects you have created with Heathers two sets…gorgeous and full of possibilities! Love these new sets…fall and trees…yum!! This prize package is my dream! I love all the leaf and tree sets! The simplicity of them all is so beautiful. Thank you for showing us many different looks. I love the fillable frame too, especially the wonderful sentiments and fonts on this set! Oh…I want it all! These are so great, I love all of the fall themed stamp sets. It is my favorite time of year. Another fabulous and versatile set from PTI. Can’t wait for release day! I just love all these and trees are my favorite cause you can use them for everything. This looks like a beautiful set! And I’m of course collecting the Fillable Frames sets, little by little. 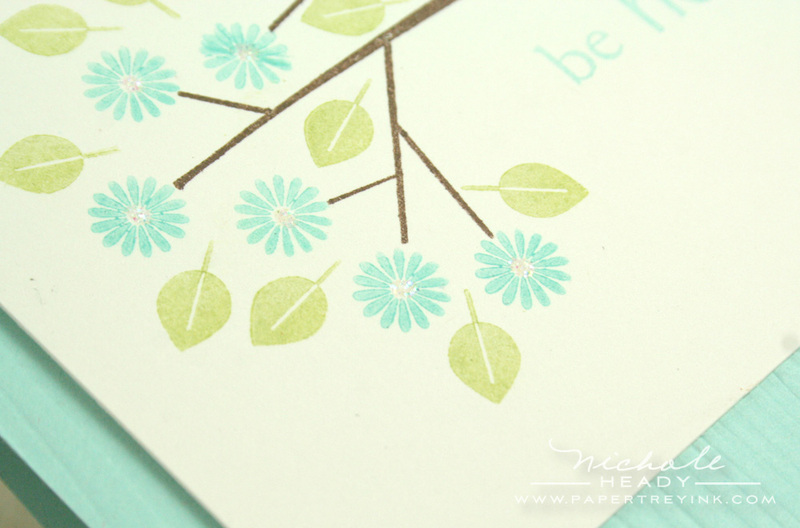 I especially love the card with the little blue flowers — gorgeous! I love the ‘Through the Trees’ stamp set and this stamp set will be a wonderful addition to that set. your cards are beautiful and as always so inspiring! So funny…it seems we all see the peeks and think we know what we will want and what we won’t! After seeing all these fantastic creations, I’m in trouble!!! Heather has another awesome frame!! The entire set of fillible frames is excellent. The options to create with them are endless!! Sadly I don’t have any … yet!!! I LOVE this set! I have an affinity for anything fall-ish, or with leaves or trees! Heather always amazes me with the versatility of her sets. This will be a must have for fall! I’m in love with both of these sets! You and Heather have completely sold me with your beautiful creations. I have always loved “Pine’s” clean and simple style, and this release appears to be no exception. I love love LOVE what I’ve seen so far! Another beautiful frame set! Can’t wait to order it! You guys have so many brilliant ideas, love it! Fall is by far my favorite season of the year and I just love the variegated card you shared today. The addition of the squares at the bottom just sets it off perfectly. Love it. I just love fall! I love this set! I especially love that you can use it for multiple seasons! Fillable Frames are awesome! The leaf stamp is gorgeous! This is just fabulous! Love heathers new set, and that last card you made pushed me over the edge- LOVE it!! So many fun applications for this set!! I love all the images. a perfect fall set!! So many possibilites! I love the Fillable Frames series and this month’s set is no exception! I am also loving the scrapbook samples you are posting. I always forget that my PTI supplies can be used for scrapbooking, too. Thanks for the reminder! love the look of these sets. So pretty! Love the new fillable frame! Love it! That Scarlet Jewel card is so cool. It almost looks like it’s glowing. Beautiful! I love the fillable frames set and this one is no exception. The leaves are definitely on my list! PTI always shows such a unique way of combining uplifting colors even for fall projects when things can get dreary. Amazing how one bare branch can be transformed with small detailed stamps to change the whole effect. among my very favorite stamp images. I love all of Heather’s sets, but fall is my favorite time of the year, so I double love this one! Love both these set and how they were used together! They are both on my wish list for the 15th! Oh wow, I love this set too. Way to go. I love the leaf and tree designs. These stamps are just wonderful. Thanks for the opportunity to win!!! Love this set! I like all the different ways you presented it. My favorite is the one where you had the half inch variegated squares. Oh my…I love these sets…will definitely be adding these to the cart! Love the different leaves. I will probably use this as a branch and add birds to it. Simply amazing! All of it! I love the frame stamp. So simple but super cute! Another layout – fantastic! LOVE your creative spin on page design. Thanks for all of the inspiration! Yet again you make me “need” another set LOL! I adore that my wish list is always full. I am always amazed at how versatile PTI stamp sets are! Nichole, you do a great job of highlighting this aspect! I loved every single project you included in today’s post. Another winner from Pine. She has such a clean, fun style. I just love everything she does. Love the falling leaves set and what you’ve done with it. Amazing! So many wonderful projects, always such a great inspiration. This is very cute, I like the apples and the acorns best, I have a soft spot for those. I have so many stamps that have scallops on the outside, so it was just a touch of brilliance to put scallops on the INSIDE of the image! Another Fillable Frames set will be coming to my house! All your projects today are gorgeous. Thanks so much for the chance to win. Love these sets! Gorgeous cards. Really looking forward to the Fillable Frames! Another beautiful job! I just love all of Heather’s sets – and Nichole’s projects are just so inspiring. This looks like a great release so far! I have the other tillable frames and love them. Perfect for many things. As always, the falling leaves is a must have. I am thinking projects for Thanksgiving. I just love this set, its soo cute. Love those little leaves and the acorn. 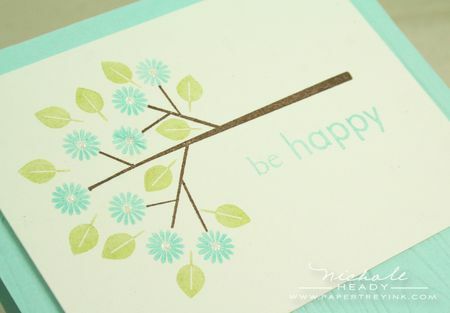 I especially love the Be Happy card, that would brighten anyone’s day. Love the fillable frames… again!! Gaaaah! The falling leaves set is soooooo delicious. I can see so many uses for that tree branch! Tis is an amazing set! Along with the new fillable frame die and stamps this will be a staple for my fall cards!! thanks Heather! I love this new fillable frames set just as much as I love the others in this series! Keep them coming! I love fall and this is a must have for fall. I am so excited about this new set. I have been eyeing a tree set by another company but haven’t purchased hoping PTI would come up with one. I’m so glad that I waited b/c this one is FABULOUS! I love how you can add details to the little tree and won’t it be cute to add little hearts, shamrocks, Easter eggs….. I love the set falling leaves, and the new die. I can’t wait. I just love these sets! too cute! 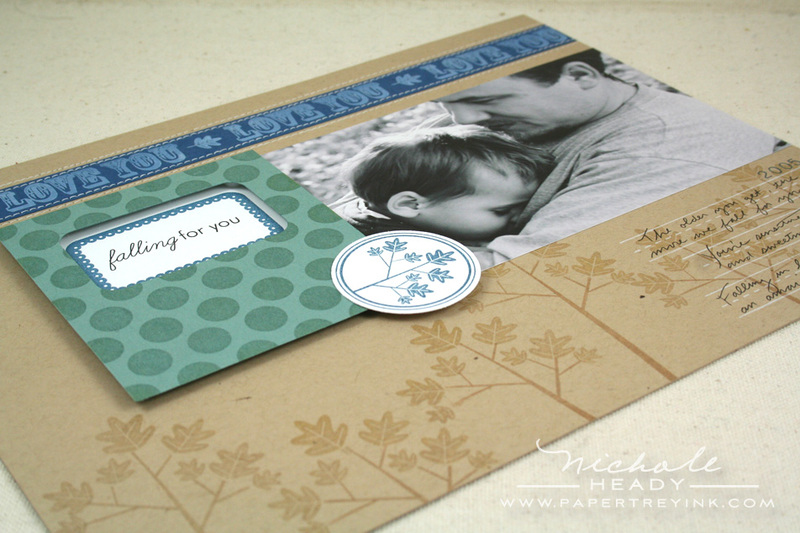 And such inspiration in the samples, I am just in awe of your creativity, Nichole! I love the versatility of Heather’s new sets that you both shared today! I absolutely love Heather’s sets this month! Fillable Frame #7 looks so completely versatile and those leaves have me swooning. I’m a sucker for nature themes and Heather’s style is so well suited to beautifully clean natural designs. I’m so excited for this month! Loving it all as usual! I just love autumn. It is my favorite season vith vibrant colors, cool crisp breezes and crunchy leaves. What’s not to love about it just like this new set Falling Leaves. It is a must have! 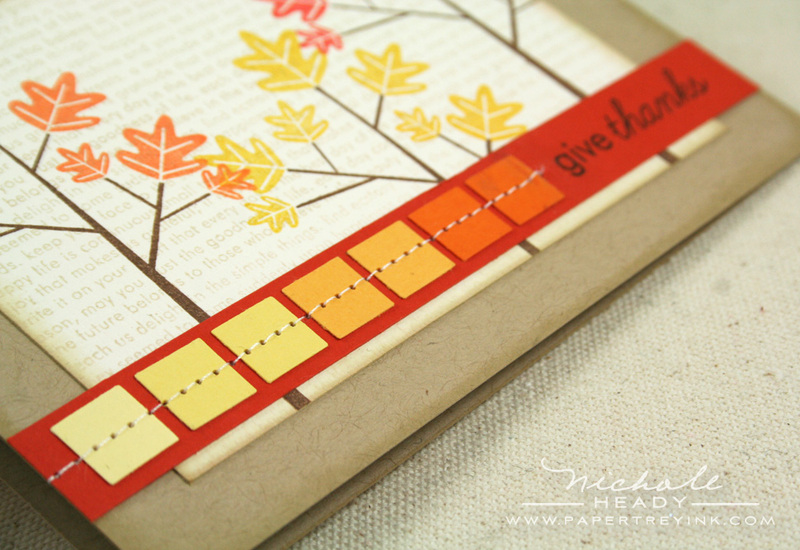 Love the fall set – it’s my favorite time of year and this set is perfect for so many card ideas. I love this new fall set, well anything that has to do with fall is right up my alley. Love that time of year and this set is so wonderful. Super cute sets! This fillable frames set is my favorite so far. Love the little scallops! I love the possibilities. Just gorgeous! My first impression was that this is kind of a cutesy set, but you showed how elegant it can become. Your embossed card makes it look like the branch is glowing! Oh how beautiful!!! I love Heather’s designer’s eye & talent and the cards your eye & talent created with these sets! Thank you! Just when I think I don’t need another fillable frame set Heather comes up with an amazing design and I realize I’ve got to have this one also. The tree trunk and all the additions look amazing and as always your cards are totally inspirational. I have a weakness for Tree stamps. I guess it’s because my nickname is “Tree”. I would really love to win this collection. I always look forward to stamp sets with Heather’s simple, rustic style. This is another winner; great samples, thanks for sharing. OMGosh, such awesome projects; I love them All…my fav is the Thankful for You card with the little apples….wow! Such a versatile set! Thanks PTI for adding to my ever growing wish list! Fillable Frames make it onto most of my cards! and this one is great – I love it when you ink to the edges with it too! And Falling Leaves is so versatile – possibilities are endless! Beautiful!! I love how this set can be used for WAY MORE than just fall! Your cards are stunning, I love the acorn one especially. This is such a sweet set! Makes me in the fall mood. What versatility in the new sets! I looooove the spider and bat images and all the options in the falling leaves set! The Fillable Frames is another must have, and the Falling Leaves will be so fun and versatile! 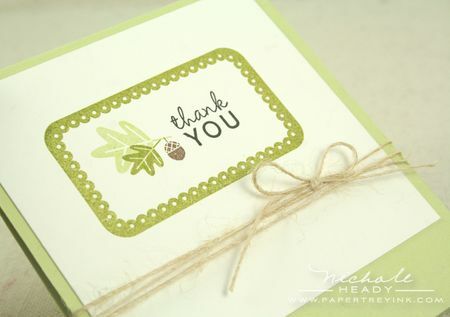 I especially love your simple “thank you” card with the two leaves and acorn. Love what I’ve seen so far! I love the fall & this set is a must have for me. The scrapbook page is simply beautiful. I love the falling leaf set! I have all the other fillable frames and I can’t wait to get this one!! I love how you have been showing the stamp sets on scrapbook pages as well! Wow…what an amazing set! Heather has come up with another winner. Thank you for all the great inspirational ideas. Can’t wait until the 15th! 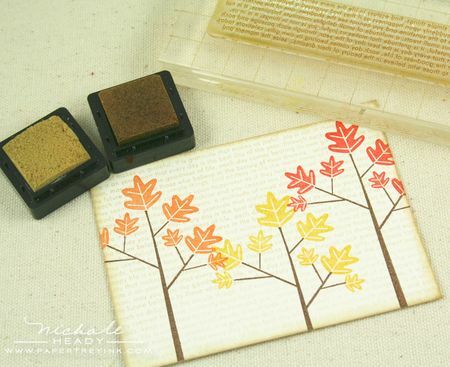 The Falling Leaves stamp set is pure genius! All the pieces to produce such a fabulous variety of creations AND all for $15. It is so considerate of PTI, in this tough economy, to bring us something so beautiful and do-able. It will fly off the shelves! I think this will be one of my favorite sets this month. Love the different looks, all from one stamp set. All I can say is WOW!!!! This set is absolutely adorable. LOVE it! Can’t wait for the 15th! I love this set. The leaves are to cute. I can’t wait to see the whole set. The fillable frames is darling it reminds me of eyelet lace. The little dresses my grandmother use to make me would have a row around the bottom. I can’t wait to buy it. Love the fillable frames series. They have all been amazing. Heather is incredible. I think I have loved all her sets and these are no exception. Thanks for another great release. I love these sets!! Great for both scrapbooking and card making. I adore the project ideas you created Nichole, thanks for the inspiration!! I love fall, it is my favorite season! This set is going to be so fun! Fillable frames have been my go to for quick, clean cards this summer……How fun!! So many options. Love the tree/branch. Love the glowing tree (embossed on red). And the cute little thank you card. Great to have on hand, ready to go. Perfection. Always love Heather’s sets! I hope the Fillable Frames set count towards the Free Anniversary Set bacause I can see myself collecting every one of them. Great projects Nichole! Since Fall is my favorite season, I will HAVE to have this set! I love Autumn sets – esp tree/leaves building ones. This one looks perfect! Fall is my favorite time of the year and I love to see the beautiful colored leaves. I can’t wait to try this stamp set out. What a great new set! I love that cute little acorn and apple!! I have all the Fillable Frames sets and will add this one to my collection as well. I just love Heather’s stamp style! These are just lovely! I’ve had Out On A Limb on my wishlist for a while, but I think it might get bumped by this new tree building set! And I love the new Fillable Frame – I haven’t had a chance to pick any of those up yet but I just love the concept. I love the Falling Leaves set! All the projects you created are wonderful and the scrapbook layout is especially beautiful! I just love that branch image, what a cute set with so many possibilities! Thanks for showcasing the versatility for both card making and scrapbooking! I love all of your projects…it is amazing how versatile this set can be…I can’t wait to see the rest of it. Thanks as usual for all of your beautiful projects and the inspiration you and the team give me. Fall is definitely the best season. I love the branches, leaves, and acorns in this set. My favorite project today is the Thank You card. Actually, I really love all of the projects. These are great!!!! I have several of the Fillable Frames sets. This one is another great one that I must have! Tree and leave images are so versatile. Another great release! I love these lovely little leaves and tree. It seems like it will be a very versatile set from spring to fall just by varying the colors. Fall is absolutely my favorite season! This set is a must-have for me! And, I love heather’s style!! Awh, adorable! I love the simplicity of this fillable frames! Another flexible set. Really lovely. I love seeing the stamps used on scrapbooking layouts! Hope to see more with the rest of the new releases. I LOVE trees and leaves, this is a perfect set! Love this set very much! I think you can do so many things with it. All you creations are amazing!! Fall is my favorite season of all. I love the colors and love to use the season as inspiration for cards and scrapbook layouts. I’m looking forward to using these items. Thanks. I love this new set. It might be my favorite Papertrey Ink set ever… and I haven’t even seen all the images yet! Fall is my favorite season and I adore the tree and leaves images. Thanks for sharing! love that cute tree, especially with the autumn leaves. This set is so versatile. The Fillable Frames is better and better. Love the frame. Heather’s Fillable Frames series is fabulous. Each month I look forward to seeing what new frame and sentiments she has put together. I love all the sets she has created, and I think the Falling Leaves set will turn out to be another PTI favorite! Heather’s sets are so lovely. I always love playing with them. I love the leaves but the fillable frames 7 is to die for! It is my favorite so far. 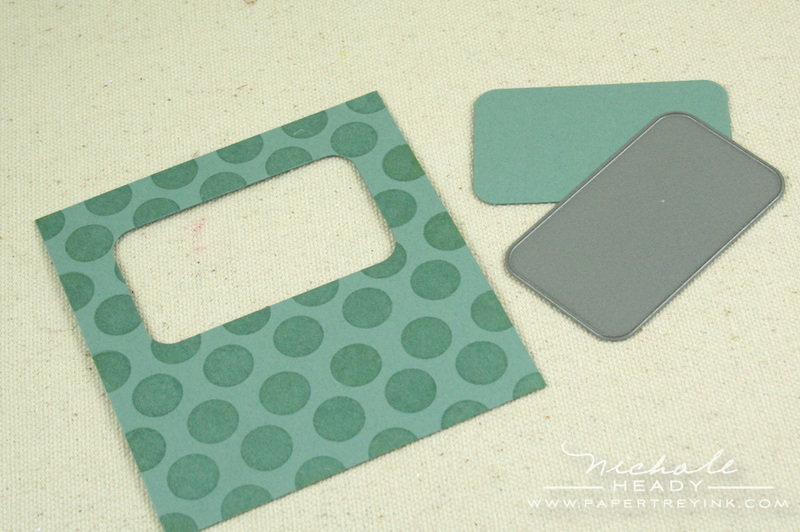 I also love the color combos in these samples and on Heather’s blog too. Everything is so cute – I can’t wait for fall!! Great stamp set! so versatile! love it!!!! but then again… love em all! Acorns are my secret love. They make me smile. An acorn is such a spectacularly simple work of nature. The little acorn in falling leaves is just the cutest. That layout is so gorgeous! How lucky to have that picture! Love this set! I love the whole fillable frames series of stamps and dies. They are just incredibly versatile and there is nothing out there that compares. The value is unbelievable. And the Falling Leaves set looks like another one to add to my very lengthy PTI wishlist! Plain and simple. Just plain, no decisions to make, simple and stunning. I am so glad for fillable frames #7. It speaks to me with the power of a straightforward shape and a solid impact, but does so with a confident, quiet voice. In a different way, the trees and leaves are also plain and simple–easy on the eye and easy to express yourself. Both parts of this announcement remind me of the Quaker hymn “‘Tis a gift to be simple, ’tis a gift to be free” and that brings peace to my heart. Thanks, Heather. I am practically in tears! How can anyone afford all of these? I am so taken by the small leaf and acorn along with the trees! These are all so stunning and can certainly be used in every season. Nichole, the picture of David and Owen is so precious. What a lovely, loving way to display the joy! Kudos! All the cards are so cute! I think I have ALL of Heather’s sets but I KNOW I have all of the fillable frames! Love them, especially when I need to make a fast card! This is another set that I will definately be buying!!! I love the falling leaves set! There are so many possibilities with the set. Your samples and creativity amaze me! What a nice variety of projects you have created with these sets. I really like the 2 little cards. You have such great details in all of your work! Thanks for the contests too! Oh I love everything! Thanks for the chance! Hope to win them! I have so many ideas for these sets! I love that they are quite clean and graphic. WTG Heather!!! You’ve done it again! I love the more modern look of the tree and leaves and that acorn is just too cute! Must say, the scarlet jewel and white card is just breathtaking. I see such a variety of uses for the set that I know it will be in my cart likety split! Pick me! I love all these images and what beautiful cards! Both the falling set and the frame set are great. So great that you can use the trees for various seasons. I love the simple thank you card with the leaves and acorn! Thanks for the chance to win! Seriously LOVE the leaves and that little acorn made my heart flip! What a great set! I have so many of Heather’s sets and really use them all of the time! This latest is really great. I know fall is coming, but I love the springy leaves and the apples card. Really cute! An absolutely versatile set. We dont have autumn season where I live and I thought I could give this set the pass when I saw sneaks peaks of it. (Yeah right!!! Like I could pass up any PTI set.) But seeing so many different cards by you I’m hard pressed to choose my fav……embellishment or trees…..trees or embellishment….. hhmmmm…….the choices we have to make. This is a great set to add to the PTI lineup! Love the idea to use the tree on its side like a branch. What a super idea! Oh wow, what amazing creations with this set! Another fantastic set, I can’t wait for the 15th! I have purchased other of the Fillable Frames set by Heather and I’d like to buy more! This one is especially nice because of it appears a little more “serious” to me. Such a sweet picture of David and Owen. I’m loving frame number 7! Wow, love these sets & great ideas! I particularly love the font of this set. Love the examples! Another great addition to the fillable frames series! I’m a big fan of the fillable frames and this month’s will be in my cart. What a beautiful. simple & inspiring set of cards – Autumn it one of my favourite seasons. Can you believe I have only just discovered PTI but can see myself becoming a HUGE fan. Perhaps a trip to the States with one rather large empty suitcase is on the agenda?! 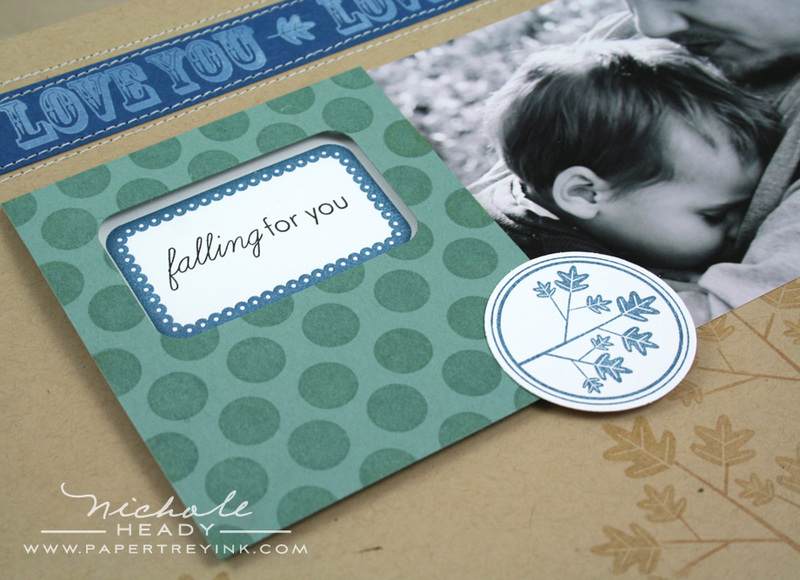 these new images and coordinating dies are just divine – thanks so much!!!! I love the falling leaves set…I haven’t loved a set this much in a long time! It is wonderful and I can’t wait to get mine. I just love the Falling Leaves set! The possibilities are endless. Heather has done it again! I am so ready for fall! It is my favorite time of the year! Love all of the ideas and frames! Thanks! I ADORE tree sets and have several. When this was previewed, I thought NO NO NO I DON’T NEED ANOTHER TREE SET !!! I do if it’s this one. I love all of these projects. I definitely could use a stamp set with leaves. Another wonderful month from PTI. Everything’s great, but that die could be sooooo useful. I love Heather’s style and her stamp sets. This tree set is going to be a must have for me. The acorns are too cute! Love the scrapbook page you created! Your creativity never ceases to amaze me! You are so talented! All the projects are great but my favorite is the simple Be Happy card at the bottom. I really love the colors and how you turned the tree sideways. Fall has always been my favorite season and this is the “perfect” set. How terrific are all the leaves, perfect for fall! Love Heather’s sets! Love this set. The samples are fantastic! The falling leaves set is so VERSATILE – I love it. The samples showcase the possibilities beautifully! Fillable frames..well, what can I say – always a winner! I love the Falling Leaves set because you can use it all year long! I didn’t think of using the negatives from the fillable frames. Great idea! Also love the trees and leaves! Absolutely beautiful! I’m drooling over the stunning projects already! I think this is by far my favorite set so far!!!! Love those kinds of stamp sets where you can add on!!!! A must have for me!! Falling leaves…..love it esp. the scrap page…. Trees and leaves are my favorite!!! Great projects and amazing stamp set!!! Love it!! I love the fall ideas. It is hard to get back to school, but these creative ideas make it easier! Love the color combos also! love all of the samples and can’t wait to see the rest of the images in this set! Love the new frame!!! And the tree is fabulous! I’ve been looking for a good tree and this is it! So versatile! I love all of the sets and your creative ways of using them! I like the different leaf options included in the set, but also the ability to use images from other sets, too! This set is so versatile!! Such great projects, I love the simplicity of the projects! Wow these projects are fantastic! Over-the-top wonderful! This is a great set that promises to be very useful. Well done! Love Autumn and the gorgeous fall colors. And leaves…am a sucker for leaf sets, so……this is a MUST HAVE for me! Thanks for all your great work, Heather and Nicole. Love the Falling Leaves set, a must have!! And the fillable frames is wonderful. I have two others and use them ALL the time! This is my favorite set so far! I love fall. These tree images are so cute. I love the new frame too! Your cards are beautiful… Can’t wait to get my hands on this set! I love Fall, it is my favourite season because of the beauty and simplicity of falling leaves…this set is absolutely stunning and sophisticated! The little add on images are so darn cute. Definitely a set to be used anytime of the year. Love the examples shown. This is a Great set! I love the simplicity of it, it’s gorgeous!!! So cute! Alway love Heather’s sets. Fall is my favorite time of the year. These sets are just awesome as well as the new die to go with the fillable frame set. Love them all!! Great possibilities!! I love Heather everything Heather! I love Kraft paper, leaves & fall. Great projects! I love the fillable frames and all the sets Heather comes up with. I really love all the new sets this release. The featured projects provide such wonderful inspiration. Oh my goodness, what beautiful trees! Now it is true that I have rarely met a tree image I did not like, but this set definitely looks like a must-have. So spectacularly pretty and versatile! Love the cards shown here today. I love trees and leaves so this set especially appeals to me. Your samples today were just fantastic, too!! “Falling Leaves’ is so versatile! It’s just lovely, and so is the latest Fillable Frame. Such beautiful leaves, and your projects (as always) showcase the images so well! i have Fillable Frames 1, 4, & 5. and i love them all! this will be another great addition. i love the versatility of all of them. your stitching is a wonderful addition to these samples too. I am a tree-leaf-acorn kind of gal and this falling leaves set is made with me in mind, right? This is so versatile and I just love it. Thank you for making it for me! What wonderful ideas! Cute set! Love the possibilities with “building” different trees. The projects were simple and inspiring. Can’t wait! Fall is my favorite season so I love this stamp set!! It is so pretty and versatile! Wow, I absolutely love this stamp set!!! I saw you guys at CHA this year and had to see what the big line was all about…needless to say I became a fan overnight and had to check out the blog to see what was going on! Glad I stopped by…LOVE IT!!! Absolutely loving this stamp set!! Fall is the best time of year and I can’t wait to get going in fall colors!! I am sooooooooooooo ready for fall, seems like I do a lot more crafting this time of year. love all these new products..now to sit down ans make my choices. I absolutely love the trees and the various leaves, flowers, etc. that you can embellishe them with. Great job! I also can’t believe fall is right around the corner. I love it. You can use it for multiple seasons – a must in my book! What a versatile set of images!! Love all of your projects but your scrapbook page is soooo sweet – love it! One of my favorite kind of stamps = trees, I love tree stamps!! They are just so versatile I don’t think one can ever have enough, lol. This will be a must have 🙂 Beautiful projects, thanks so much for sharing. I adore autumn and love to take walks in the woods to look at the leaves and trying to find toadstools. This set looks amazing. This looks like a great set of stamps—very versatile! Fall is my favorite time of the year and this set and all your cards are so lovely! This looks like a really fun set – I love how versatile it is! I love the scrapbook page you made. I love the versatility of the tree set. The fillable frame was already on my must get list. Great new set…so many options to use it. Will defintely be a great addition to any collection. I adore this set and can’t wait to try it out! I can hardly believe we’re thinking about fall but, as usual, Papertrey has it all figured out! Thanks, Nichole/team!! My sister is totally going to want this set! I LOVE Heather’s sets. Most important to me is that they are interchangable and blend so well with many of PTI’s other sets. All the work today is brilliant…I’m so excited! Anything fall is all right with me! So far I have no Fillable Frames….I like every single one of them and can’t make up my mind! Another must have…all of them! Your ideas for cards and scrapbook pages are amazing! Thanks for all the inspiration. Love the leaves and trees, it’s a must have! These are beautiful stamps & I love all the creative ways you used them to get many different looks. Love the trees and leaves. Can’t wait for fall and cooler weather! I’ll definately be adding the newest fillable frame to my collection. I totally love trees and leaves….green leaves and fall leaves! Ohh how I love images that don’t have to be colored. These stamps are perfect and I love how you have them in different greens and browns like that…ink one stamp and you’re done. Great way to color images for those of us that don’t color. I’m in love with this set already! The leaves are beautiful and the whole set seems incredibly versatile. Thanks so much for sharing your ideas for using it – so inspiring! Such a fun and beautiful set! Great projects! OMG – leaves, branches, trees! endless possibilities! wonderful! love this set! Oh wow! This set and projects used with it took my breath away a little bit. I just love this set…it is going to be a must have! I love all the different ways you’ve used the tree! What amazing fabulous sets!! I am now so excited for the Fall and cooler weather!! Heather is a wonderful designer and inspiration! I have collected all of the Fillable Frames ensembles, they are great as focal images or embellishments, and they are really fun to mix and match. There is something about autumn images that really feeds my creative juices and I love the simple and elegant tree images from Falling Leaves. I love all these projects! I think my favorite single image is the cute, little acorn! I love the colors of autumn – that is my favorite time of year. I can see myself using the falling leaves set over and over! I love this months fillable frames, as well. I totally love this set and am already dreaming up some possibilities… 🙂 Fingers crossed! Love this set — and since “leaves” are my sister’s “theme” this may have to come home with me! I’m also looking forward to seeing the dies! Love, love, LOVE the building a tree with the different leaves & images!! Could that bitty acorn be any darn cuter??? Wow! I love the versatility and simplicity of the the fillable frames set this month. I LOVE the fillable frames set I have and use it all the time. It’s one of my most anticipated sneak peeks each month! Great work! And great value! This is a must have set for me. All of the ideas are bootiful. Cute, cute! The fillable frames looks so much better when you added the little leaves and acorn, because the sentiments are too small for them, IMO. So I love that you did that – so adorable! I love trees. I love fall. I love the tree in front of the frame. I love it all! Gorgeous set & great to have for making cards for both genders! Love this new set! Can’t wait to see what else this set has in store and such cute ideas..